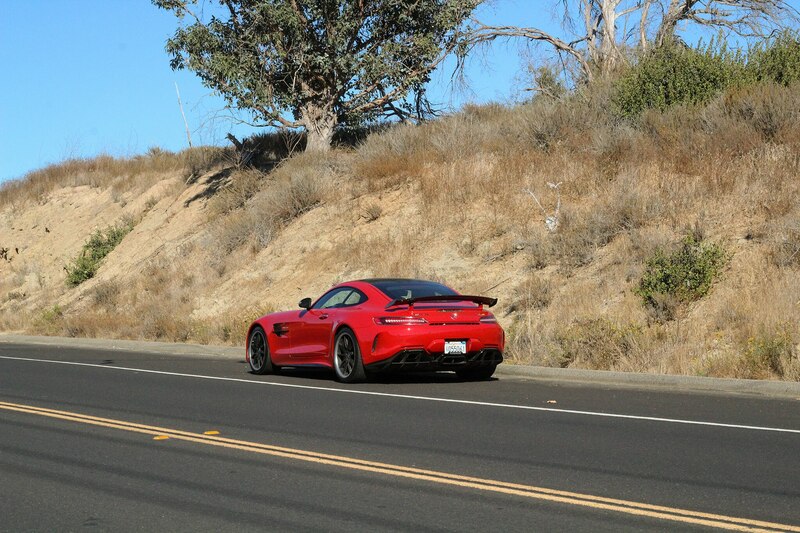 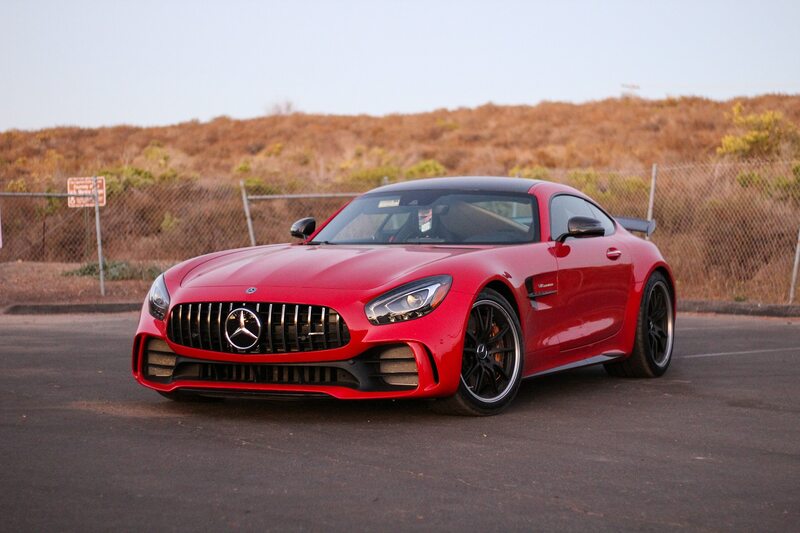 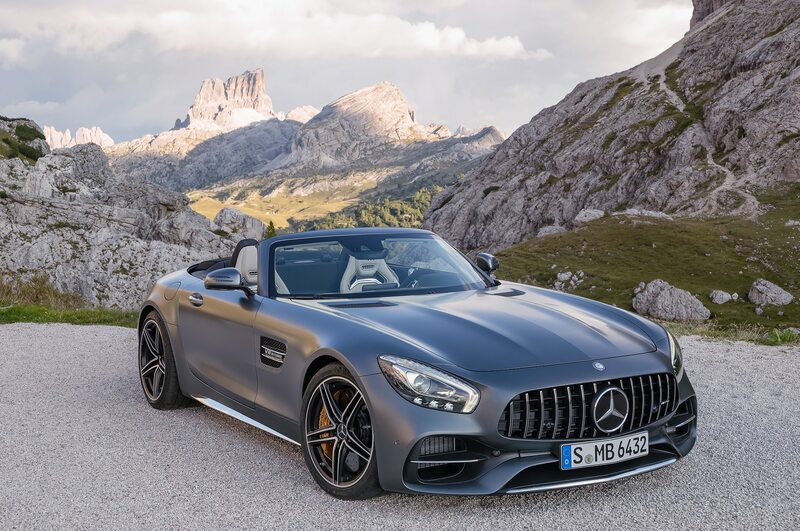 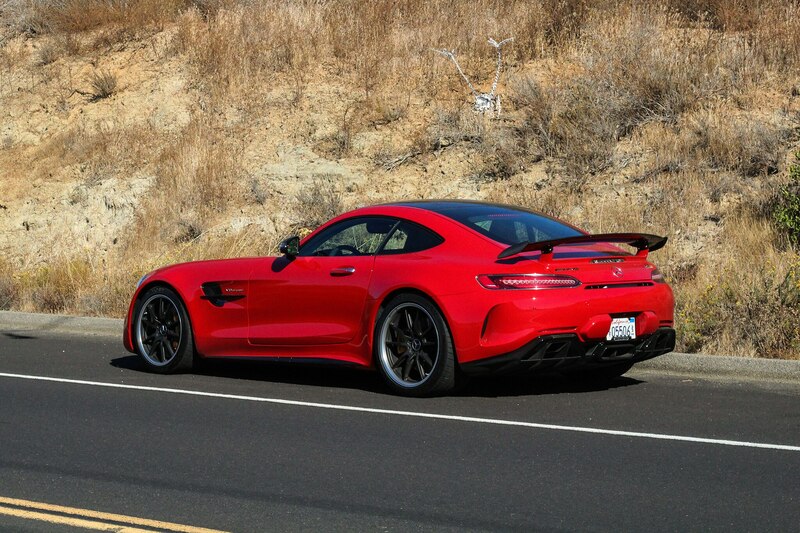 SAN CLEMENTE, California — The parking lot for the world-famous Trestles beach has seen plenty of rare and unusual cars over the years, but I’m willing to bet (no more than $5, though) that this was the first time it had seen a Mars Red 2018 Mercedes-AMG GT R. After all, exotic two-door sports coupes don’t normally make good surf rigs. 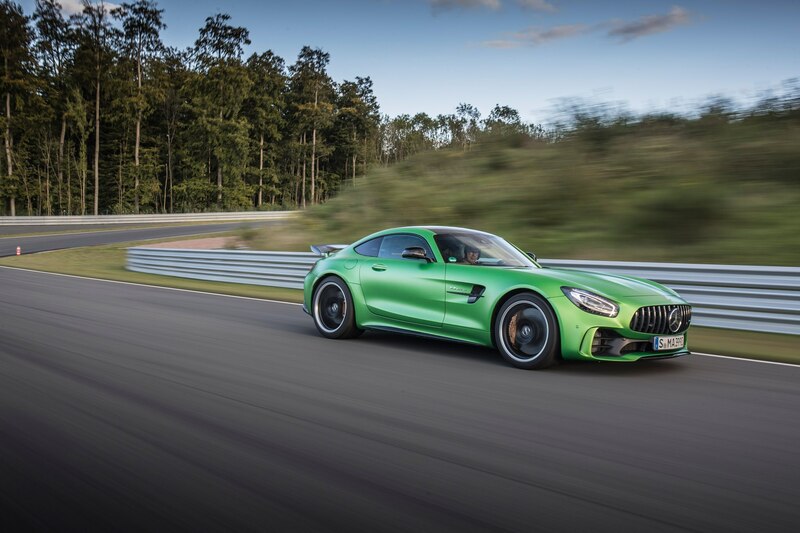 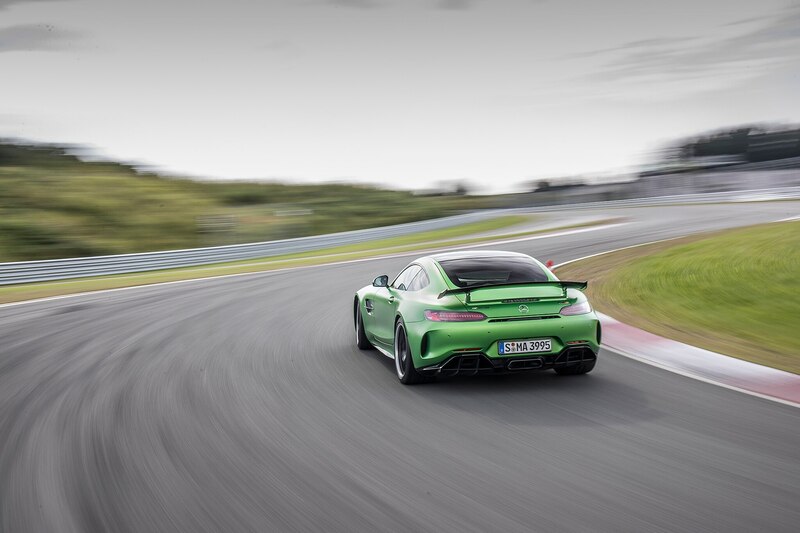 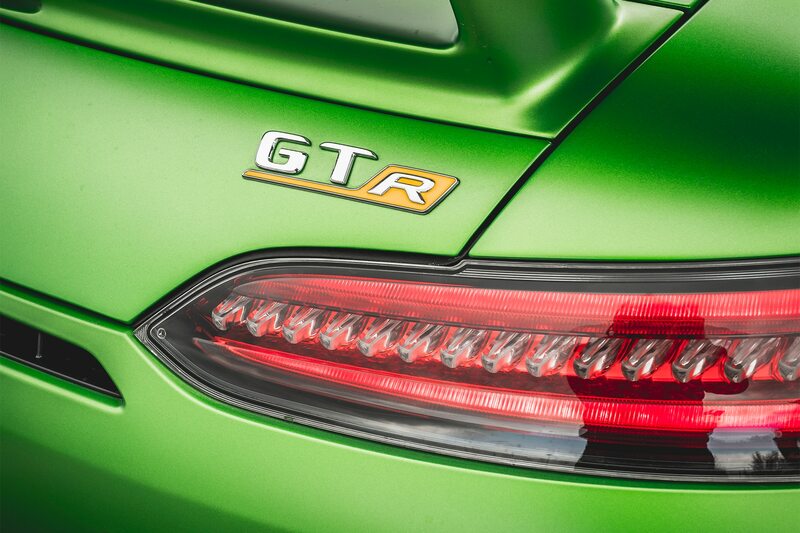 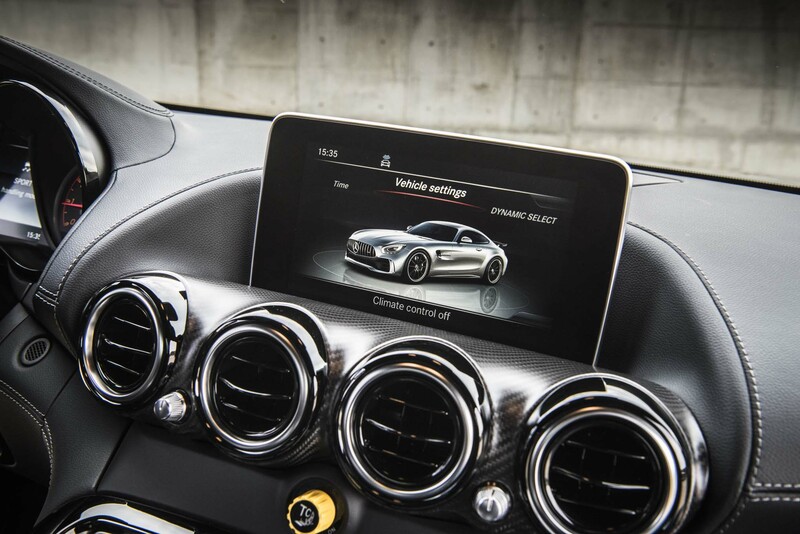 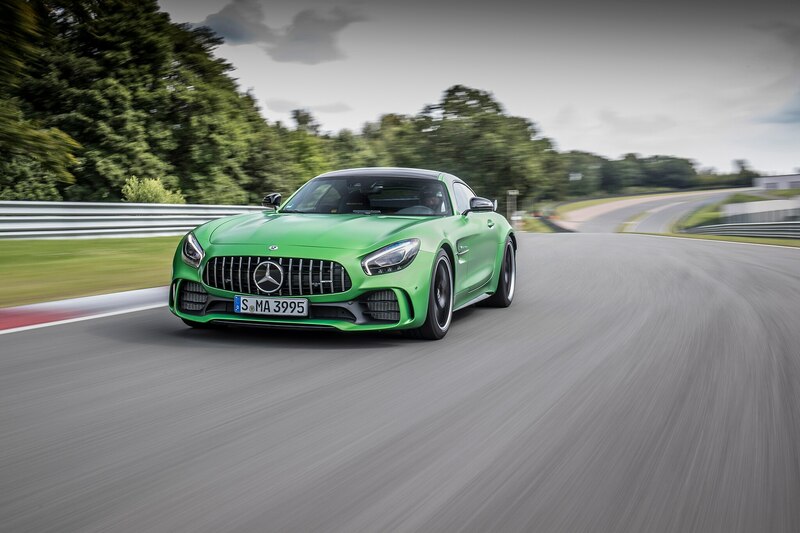 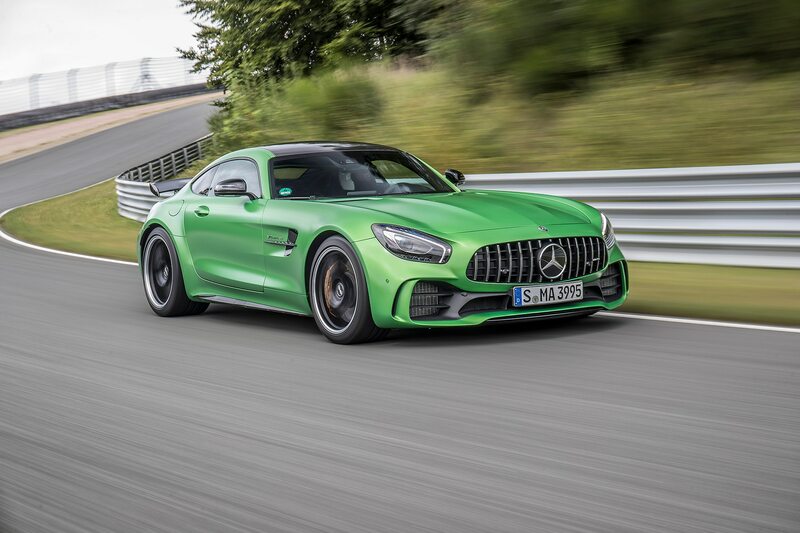 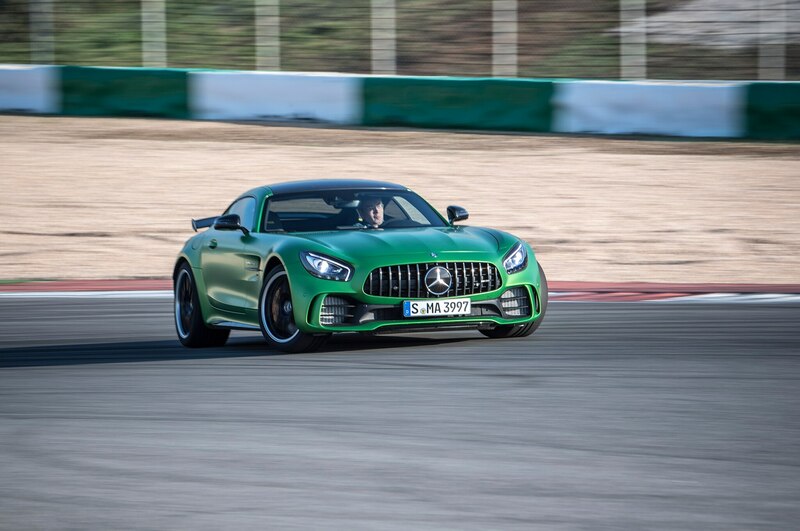 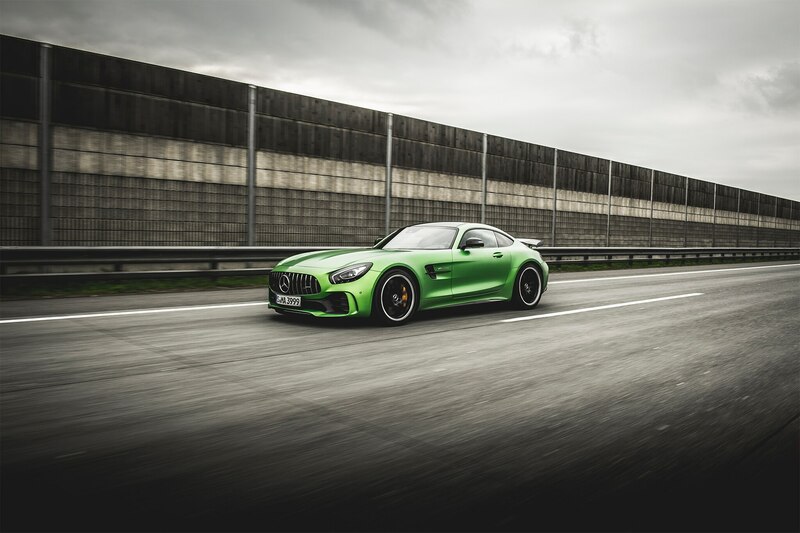 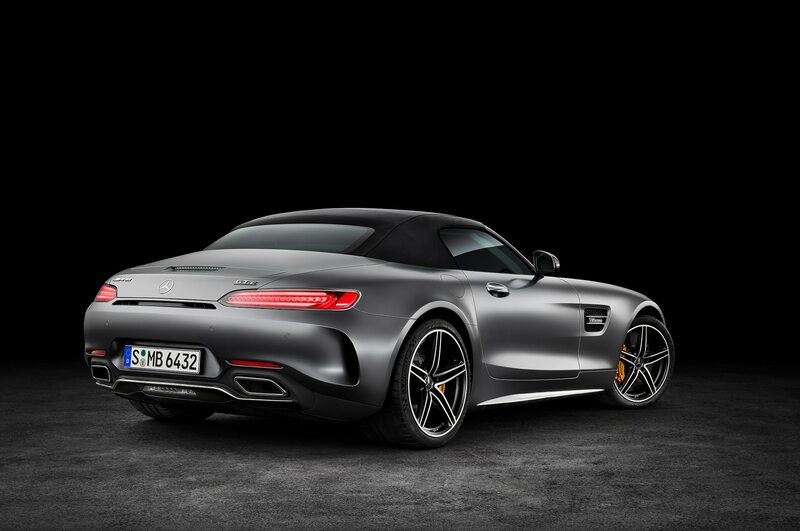 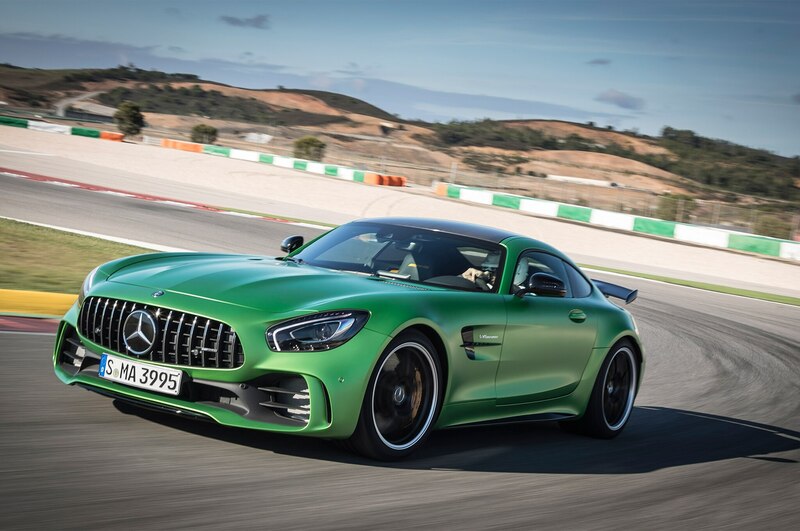 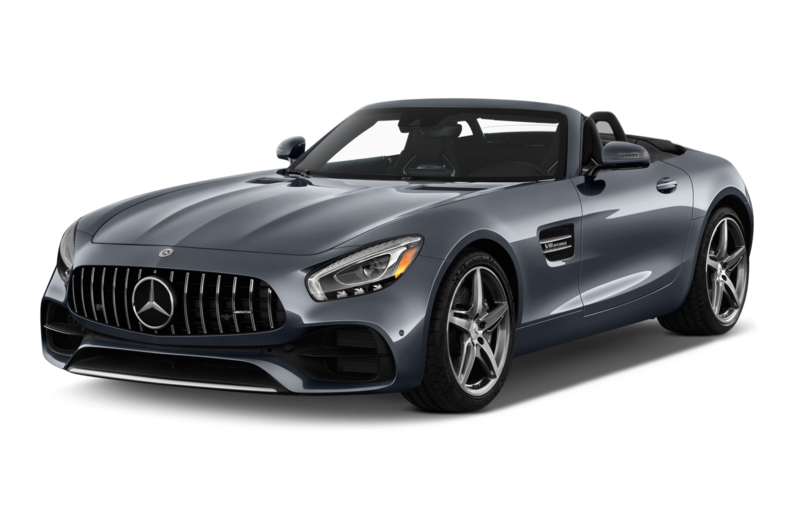 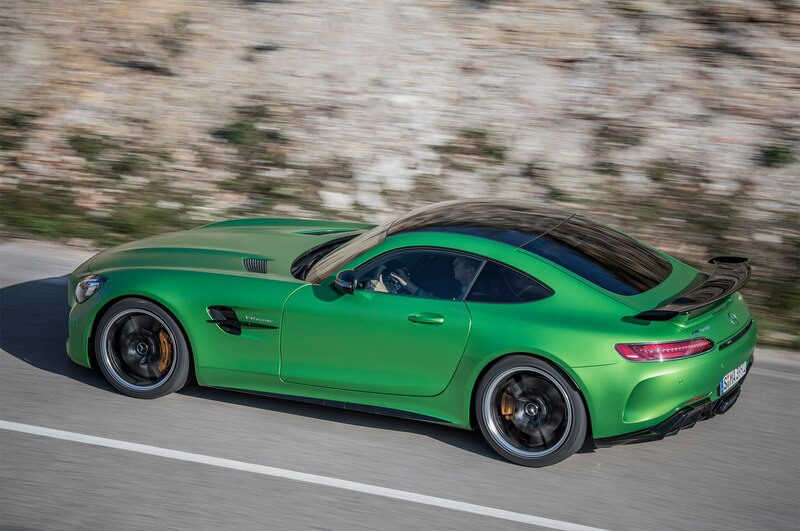 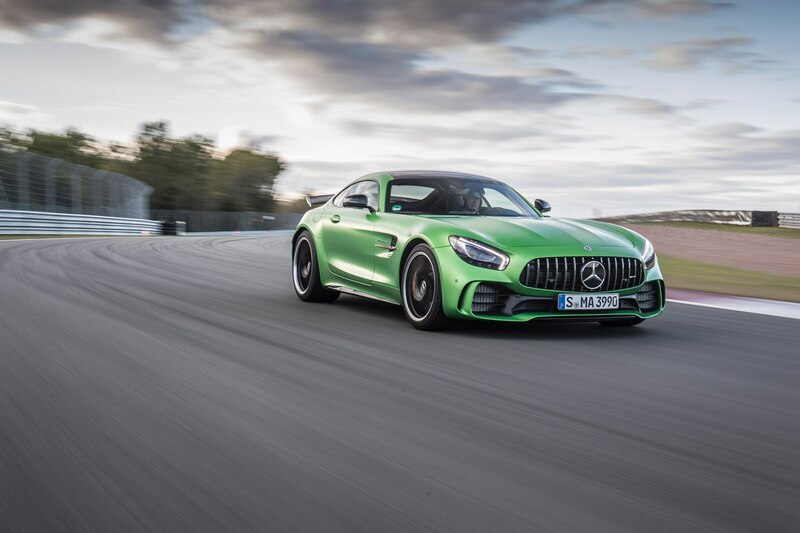 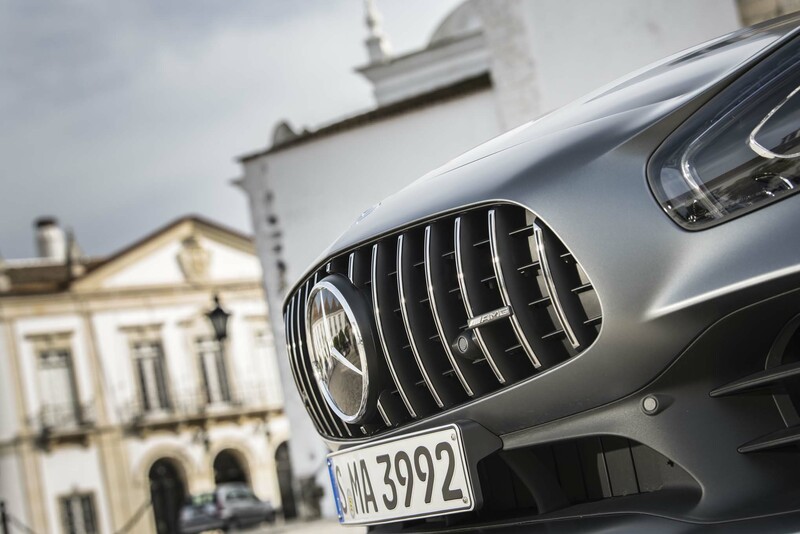 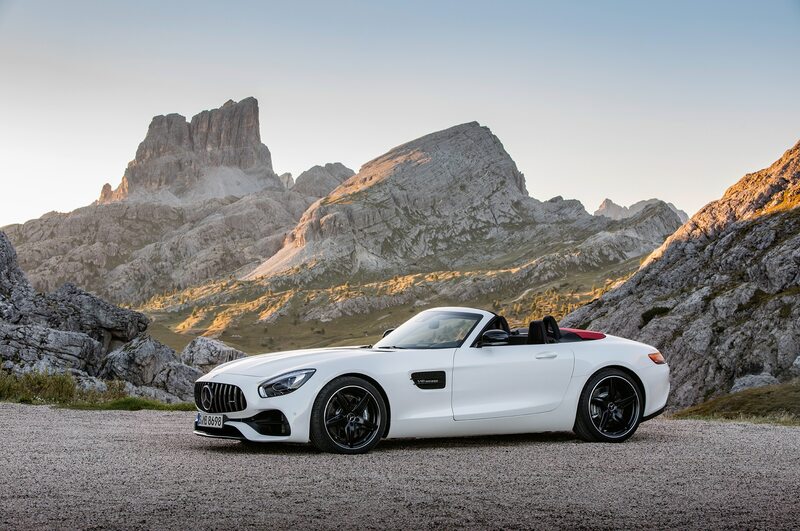 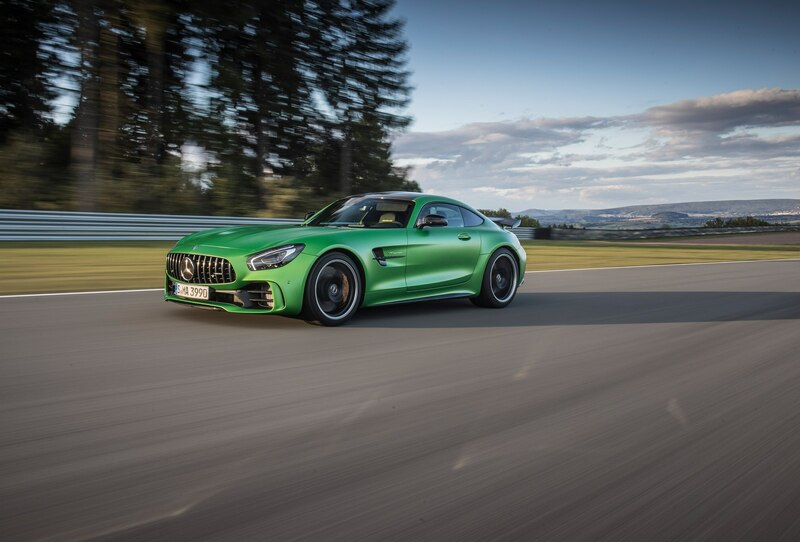 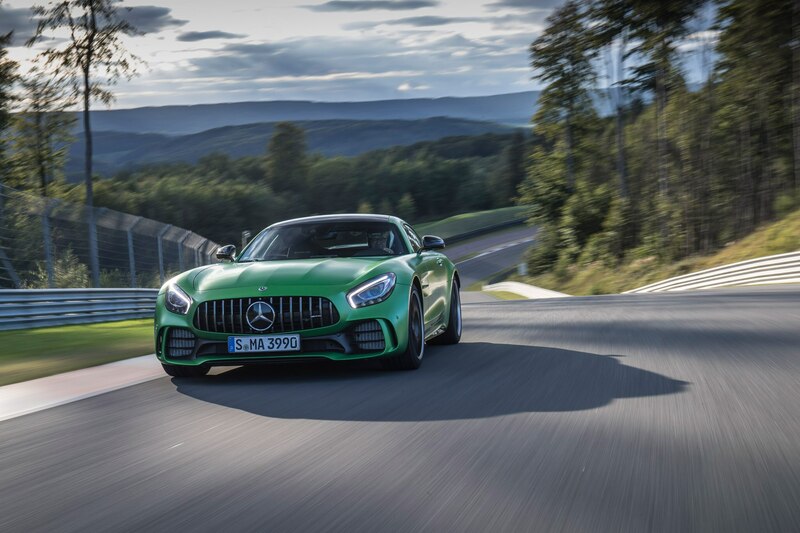 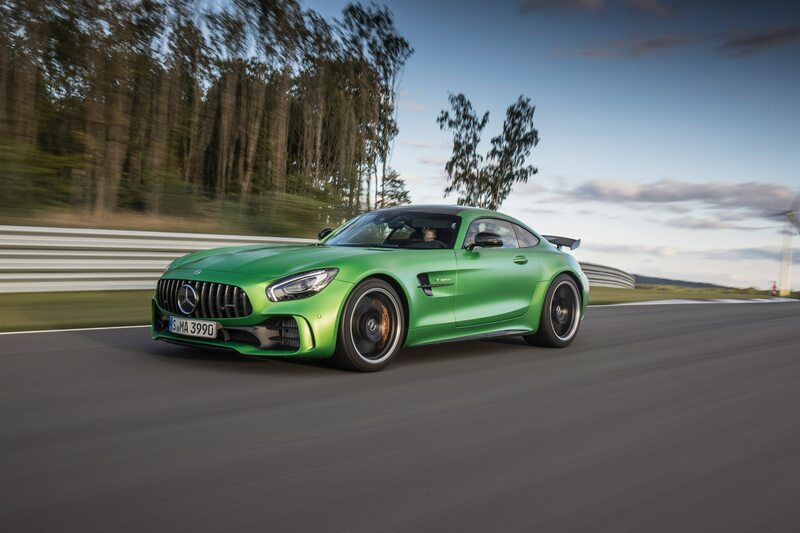 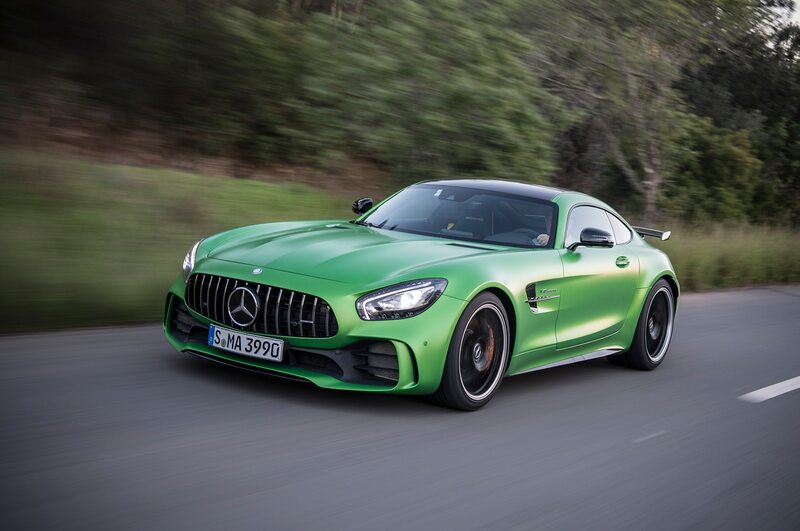 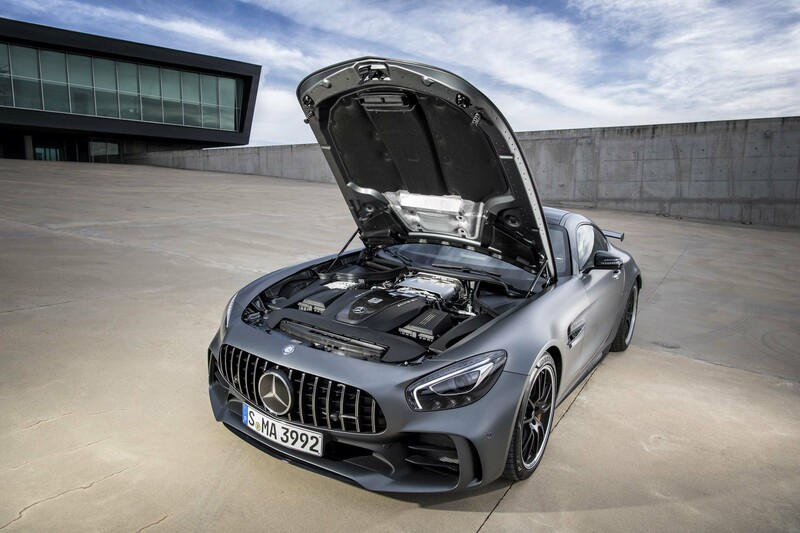 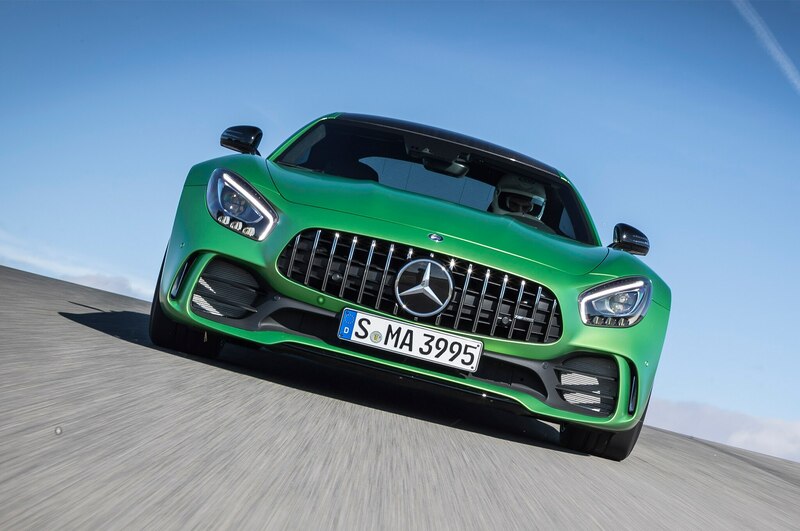 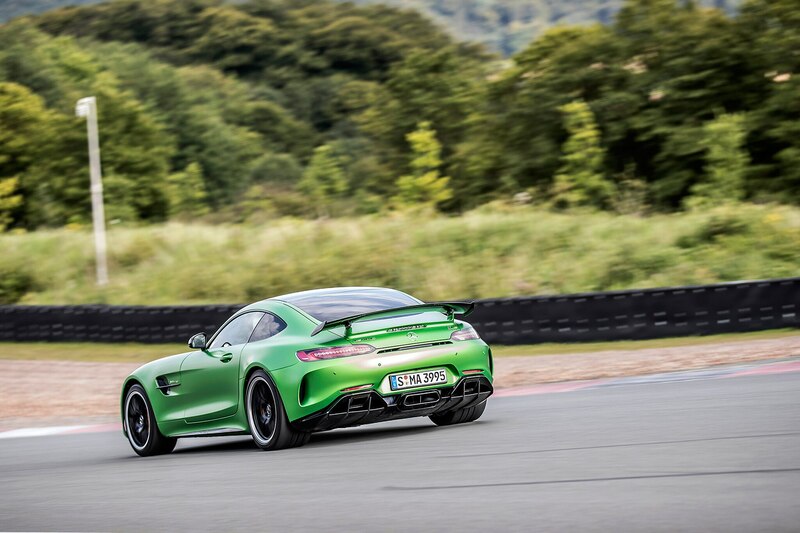 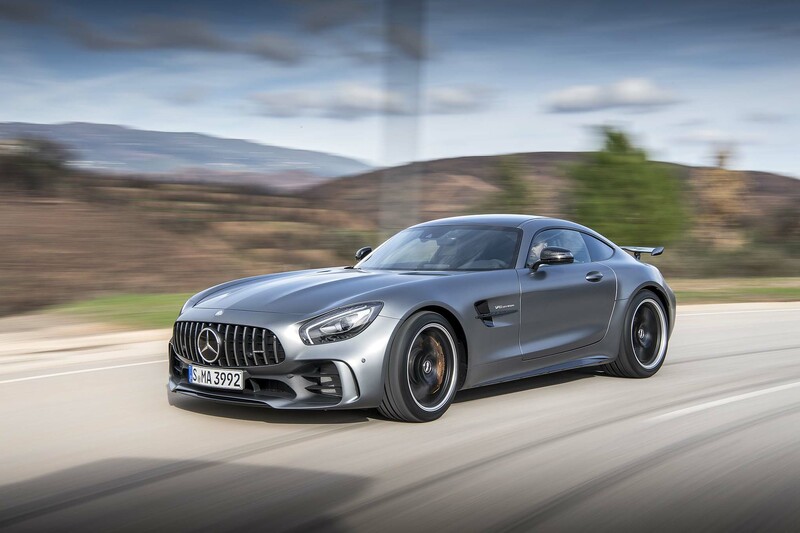 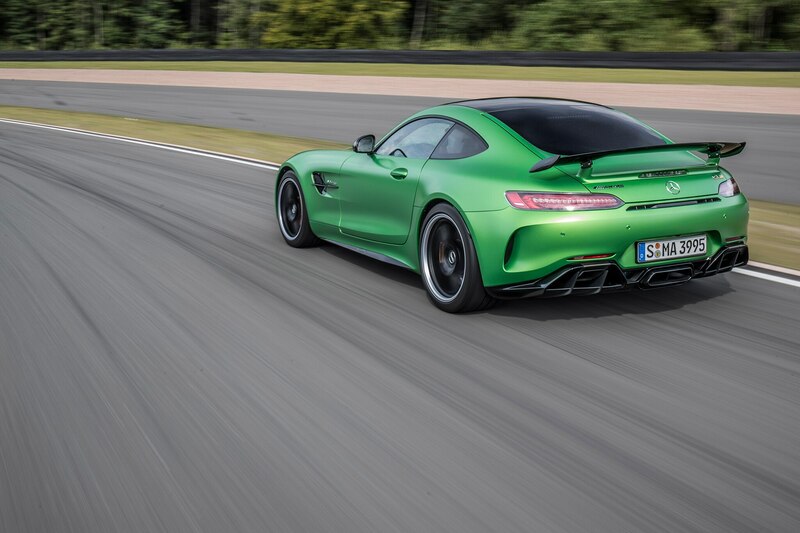 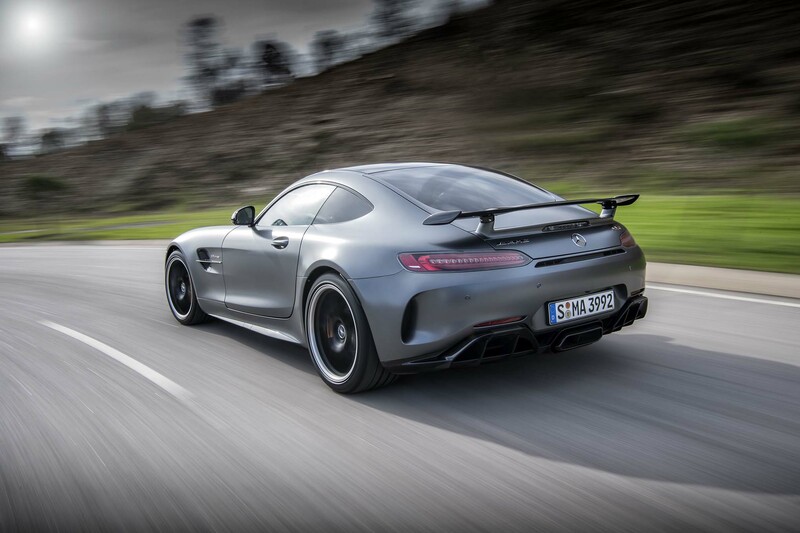 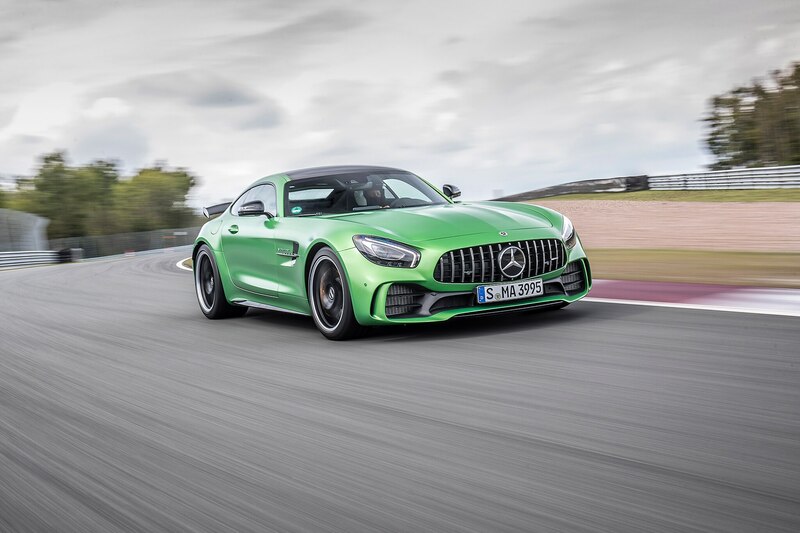 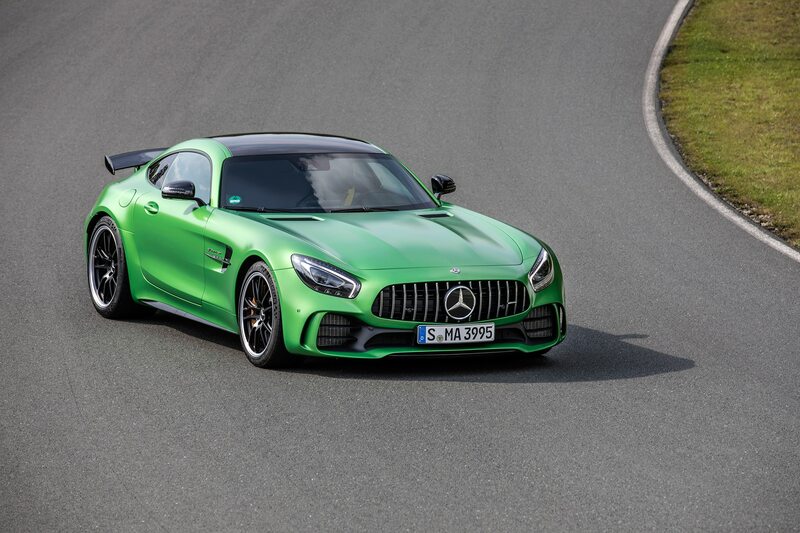 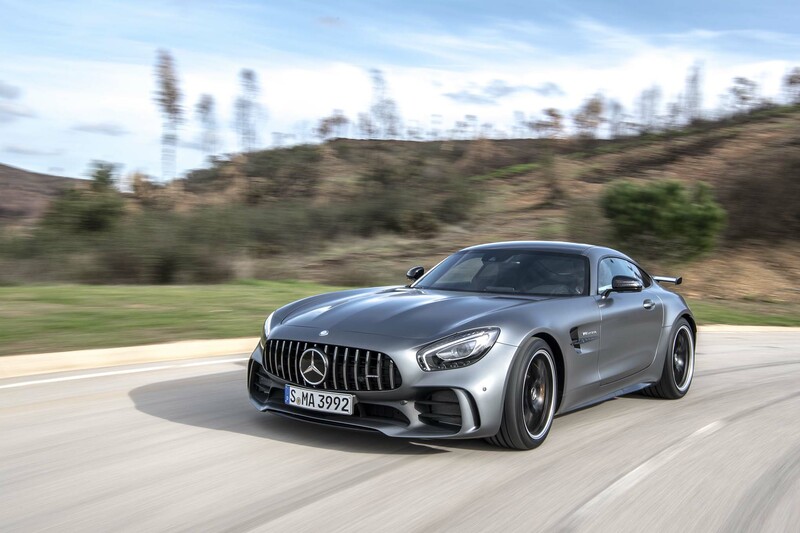 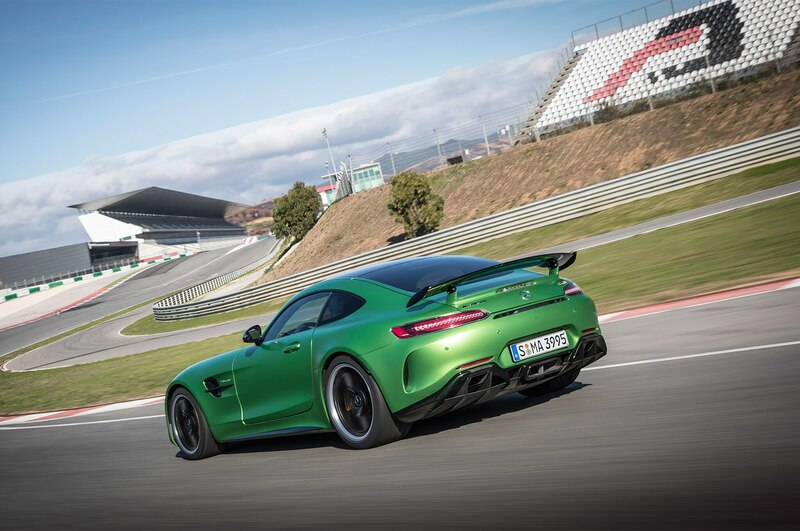 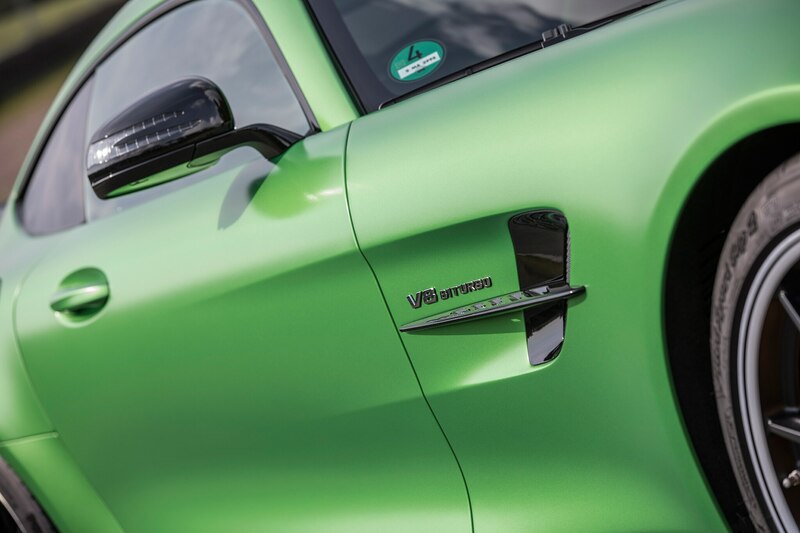 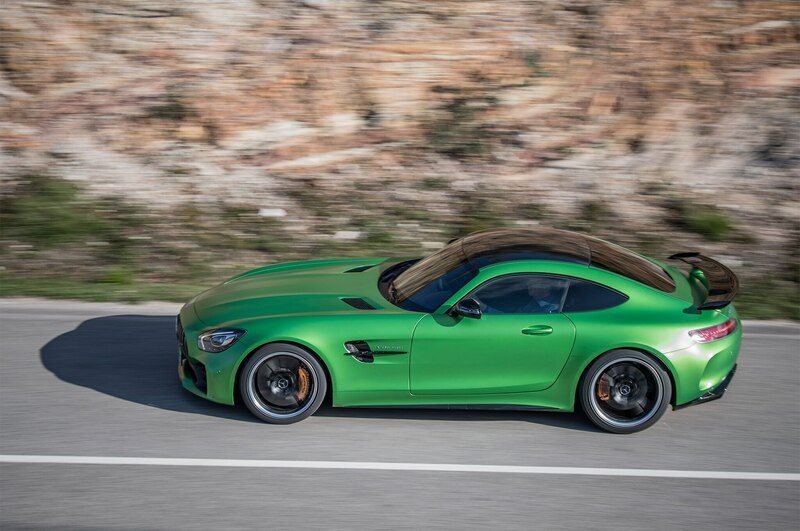 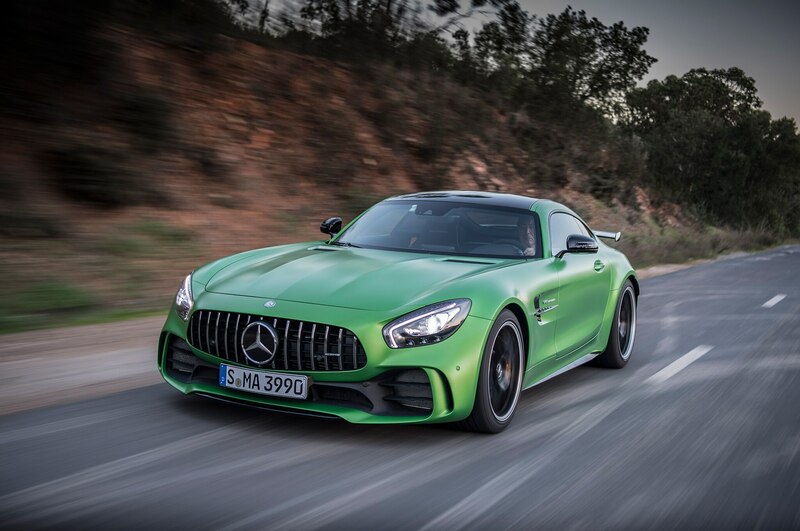 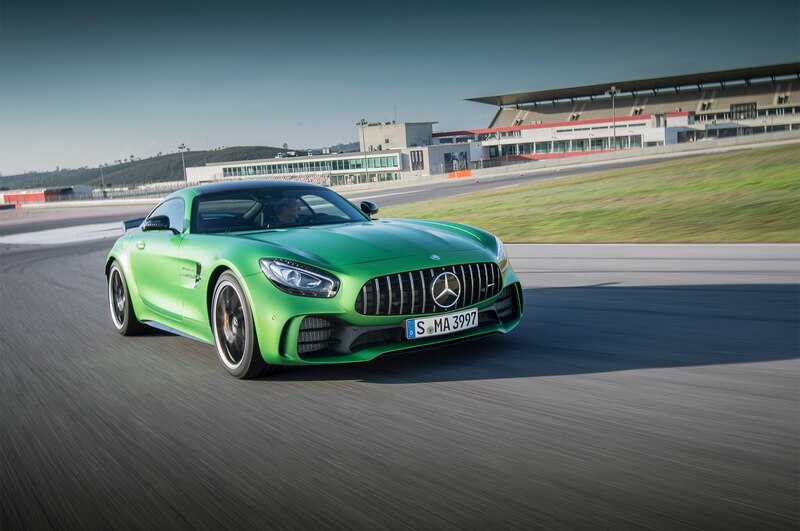 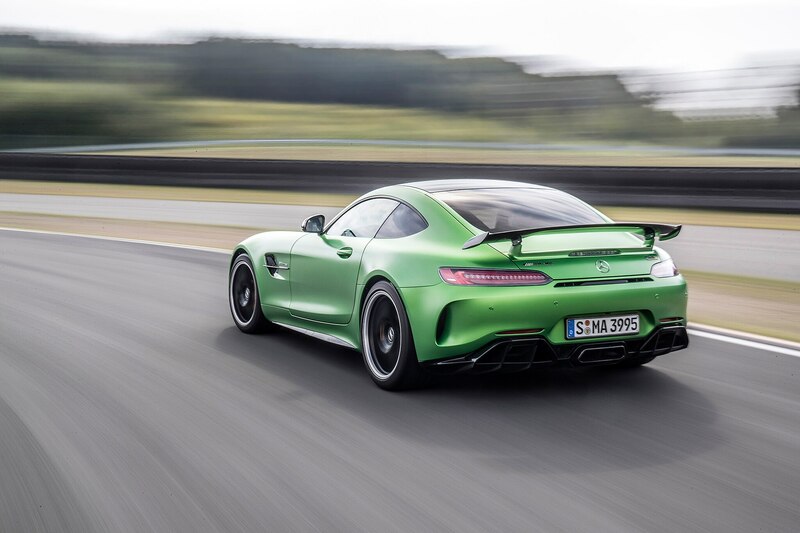 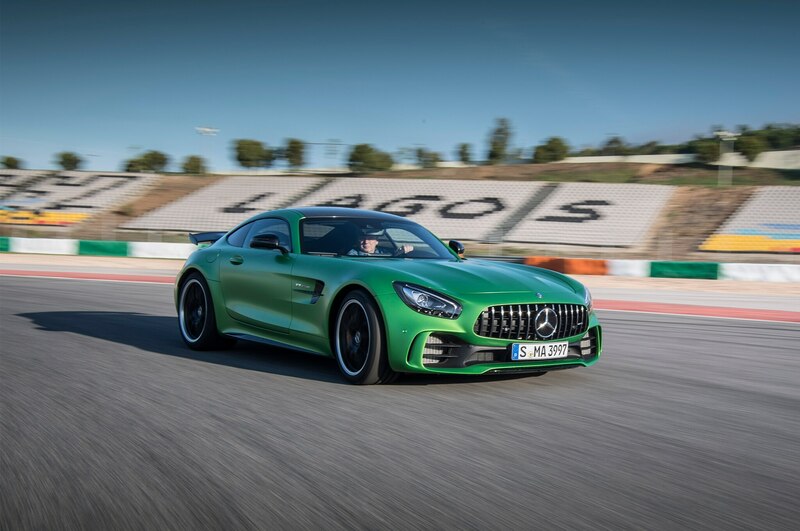 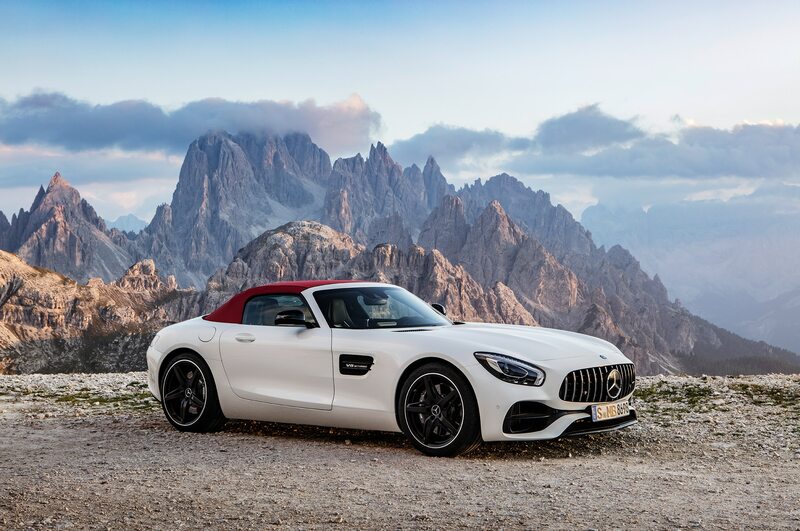 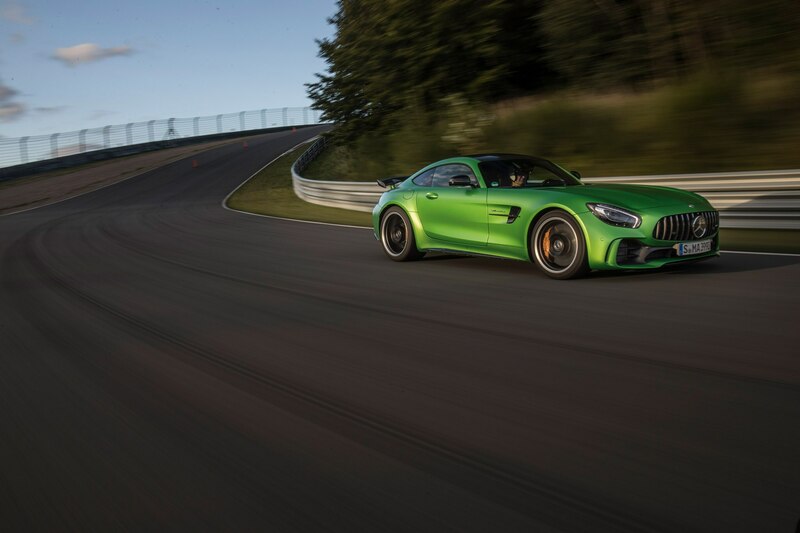 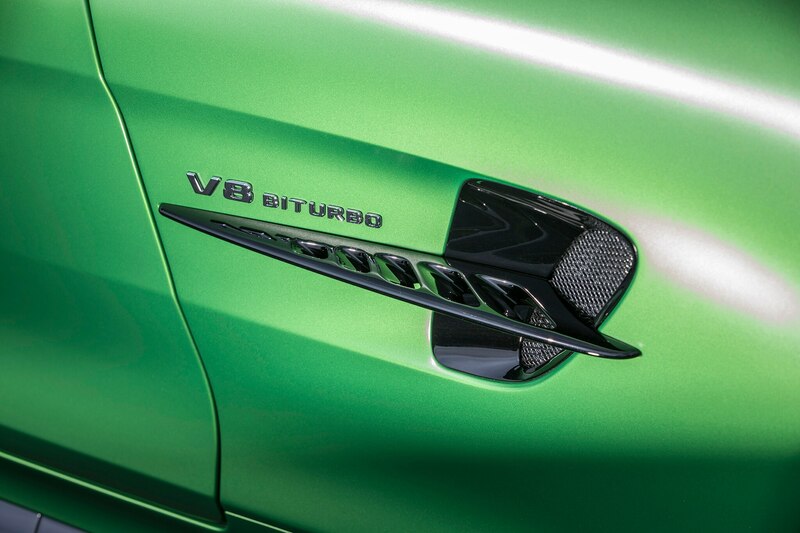 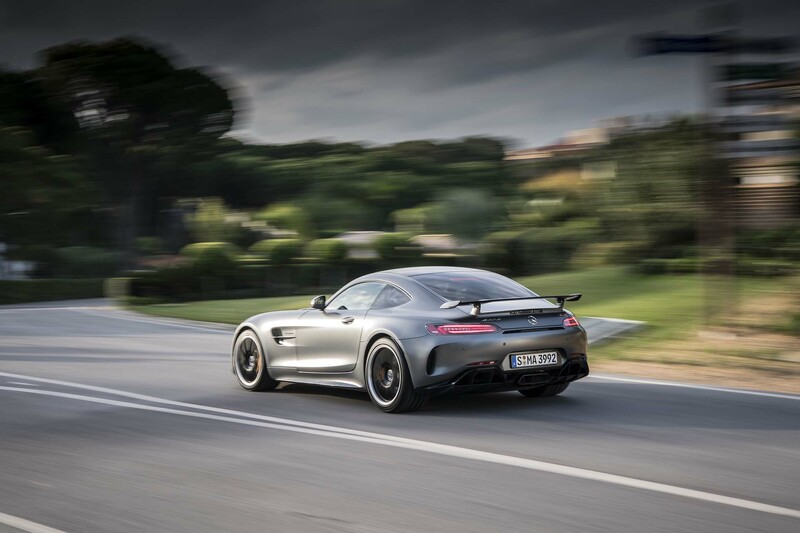 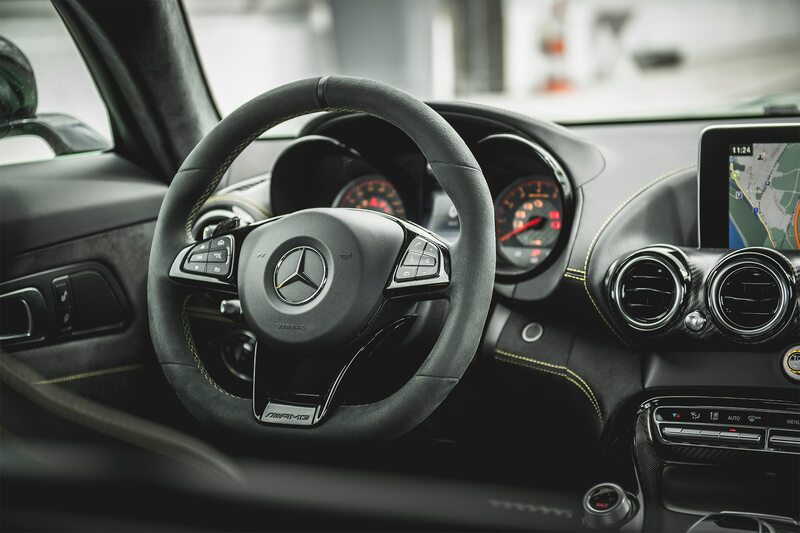 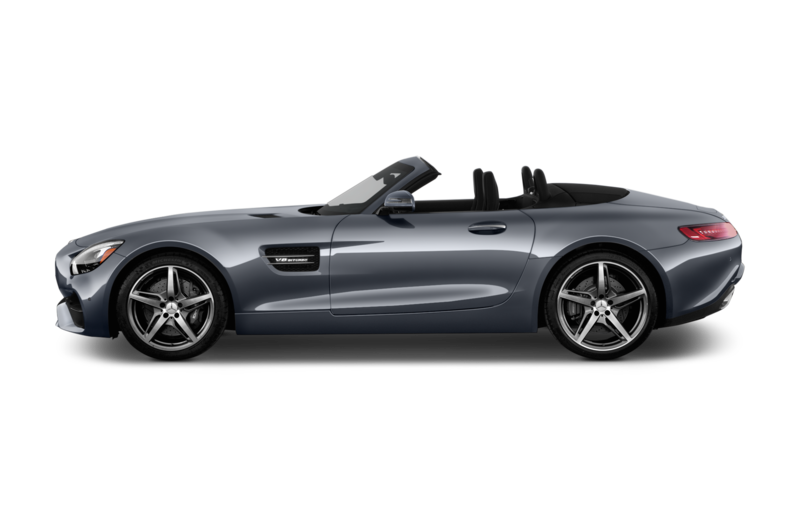 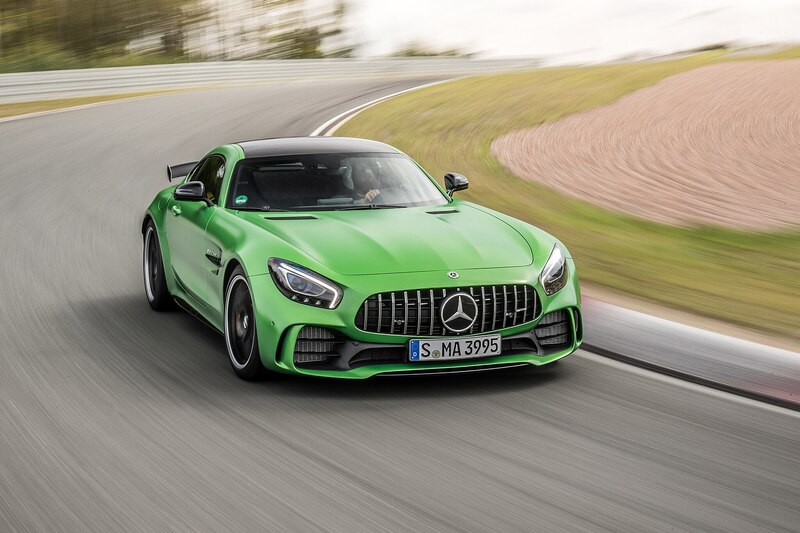 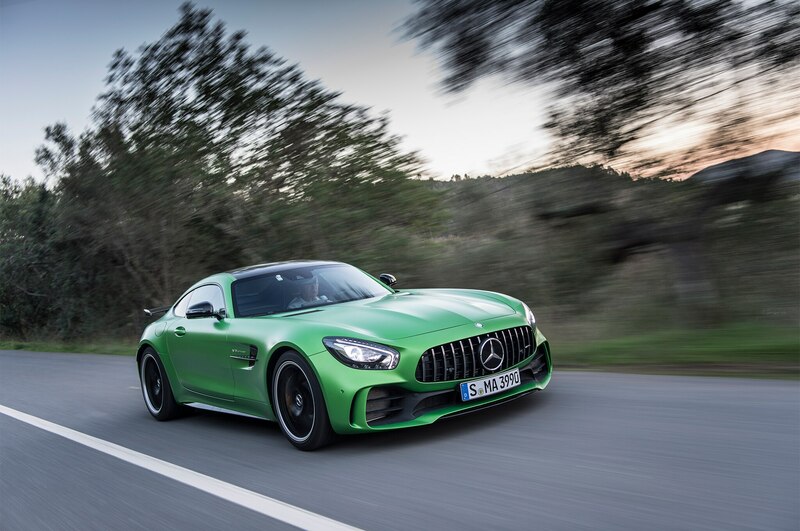 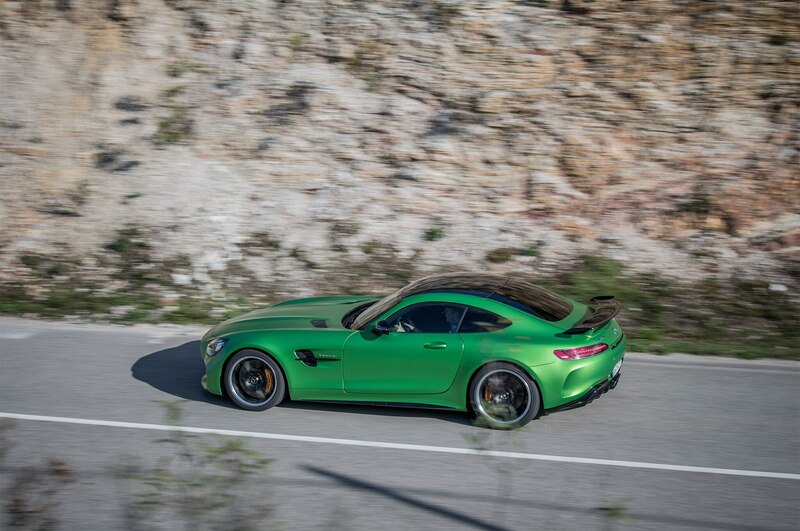 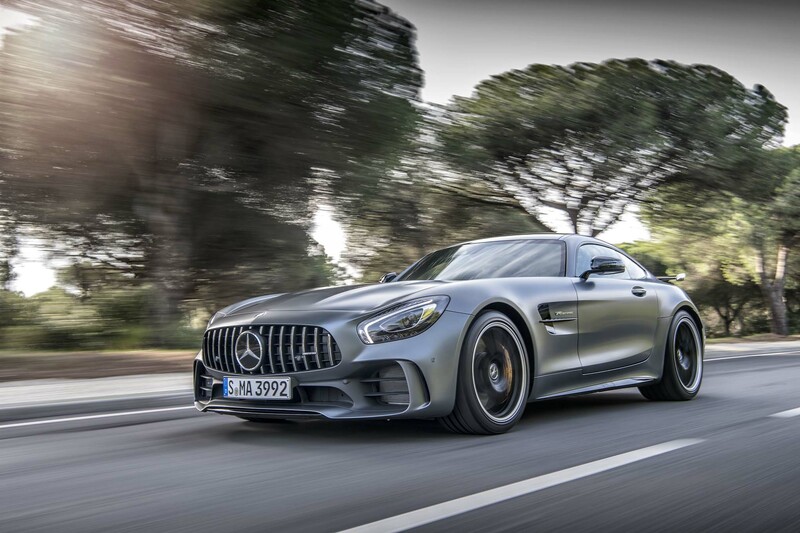 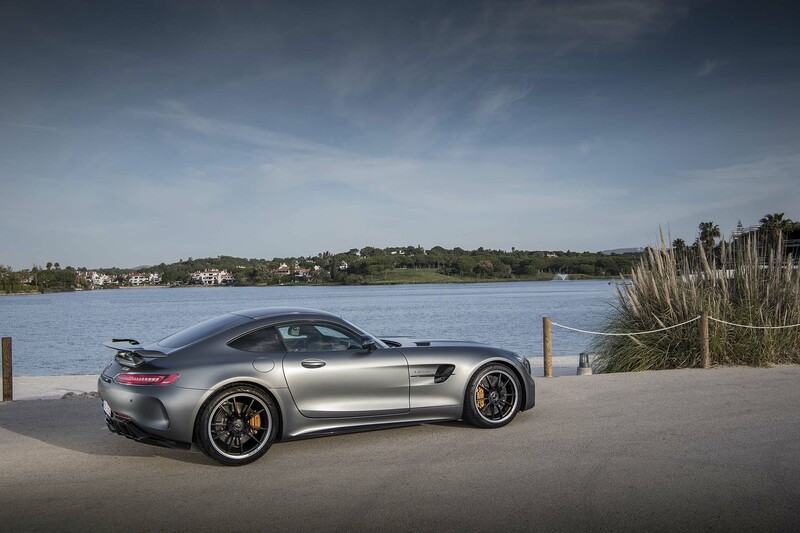 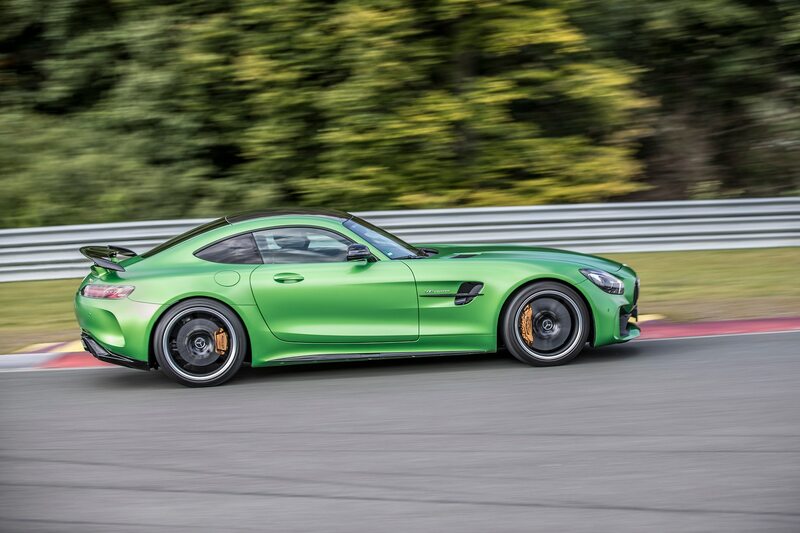 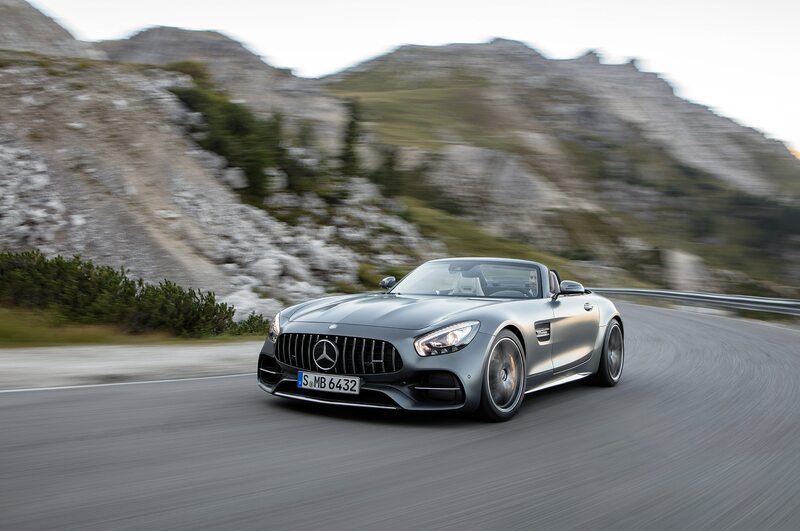 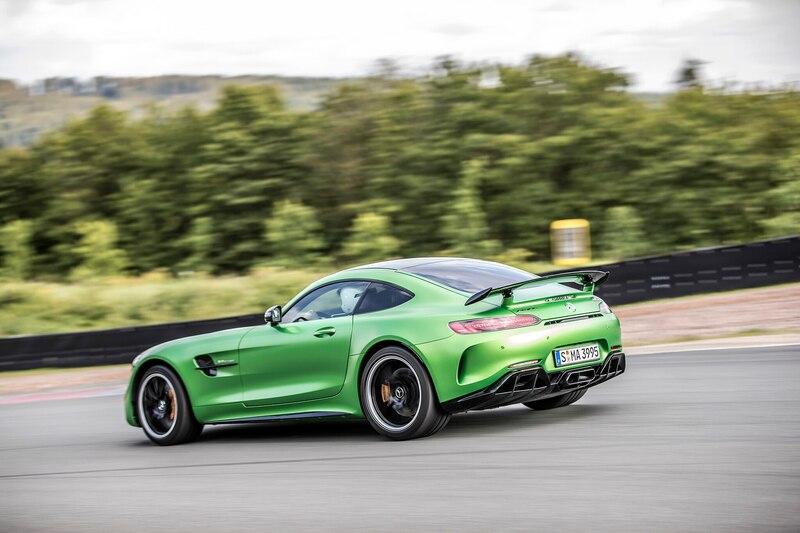 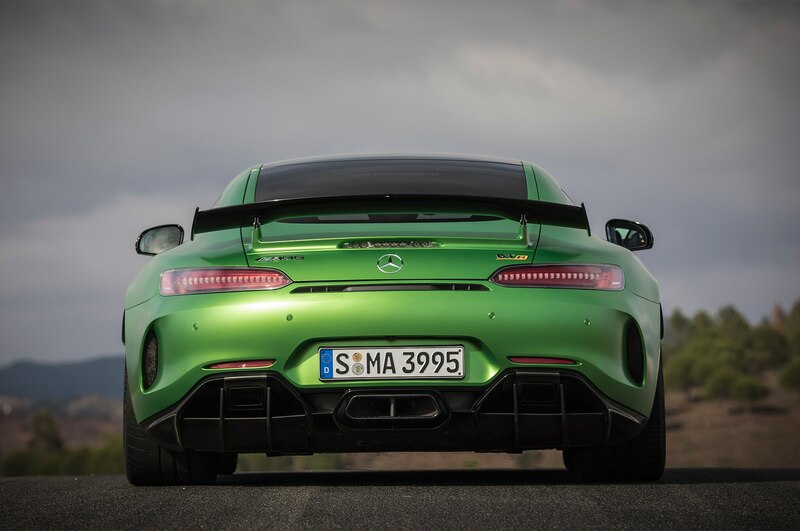 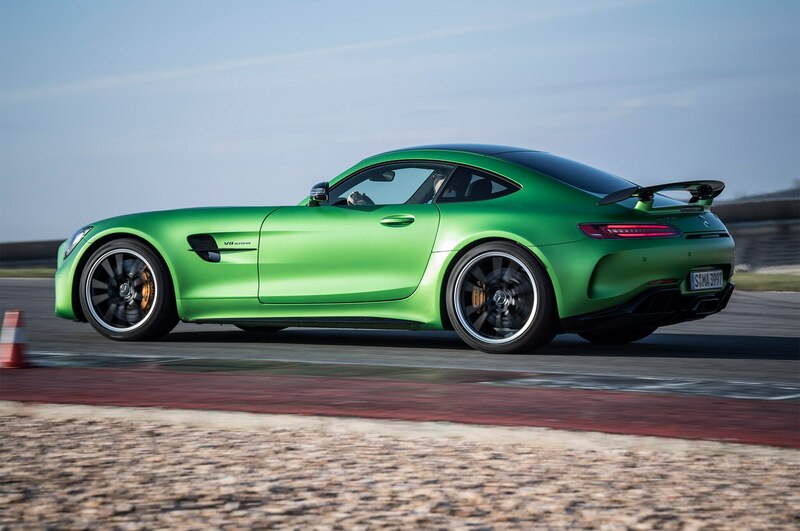 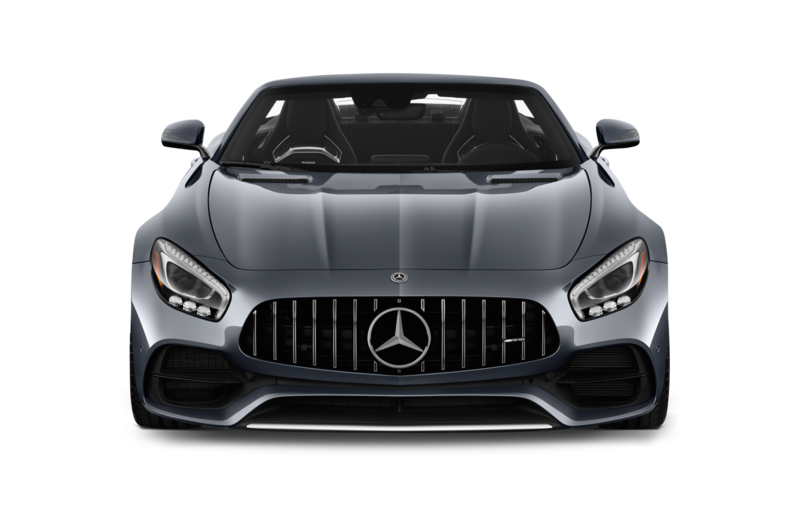 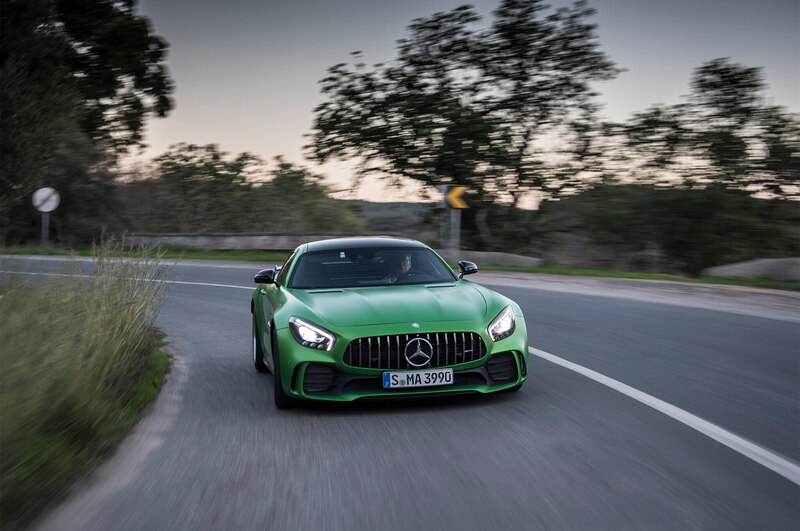 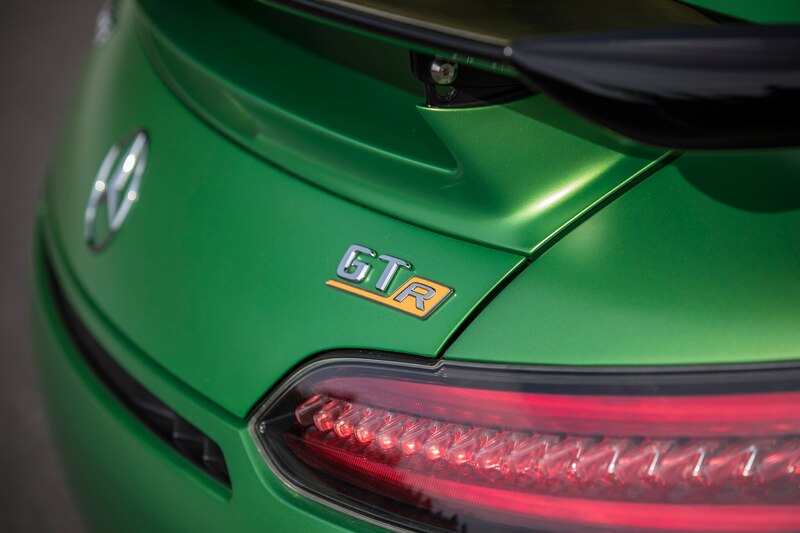 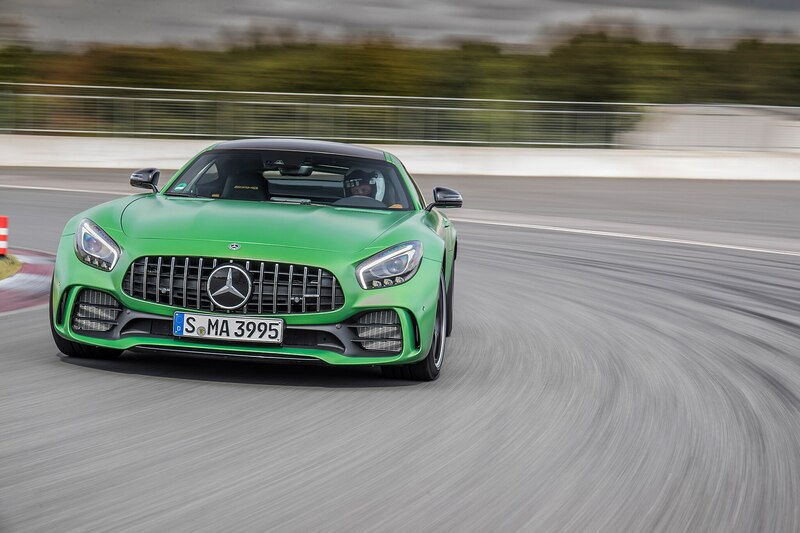 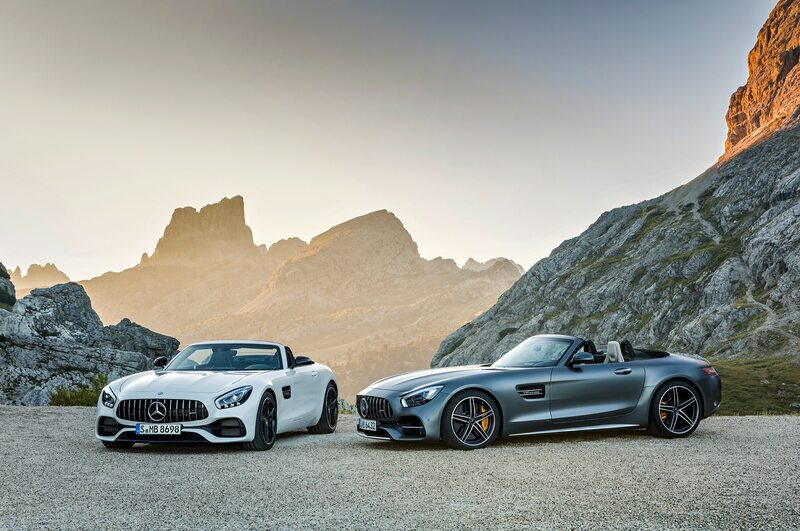 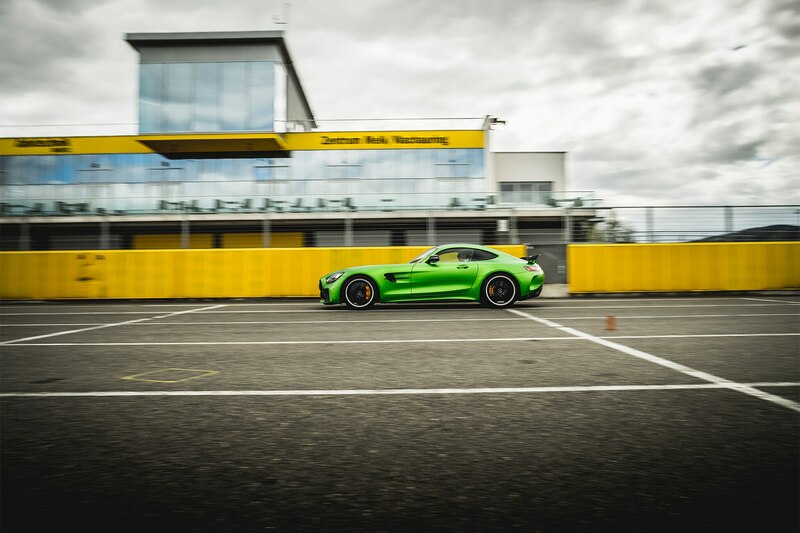 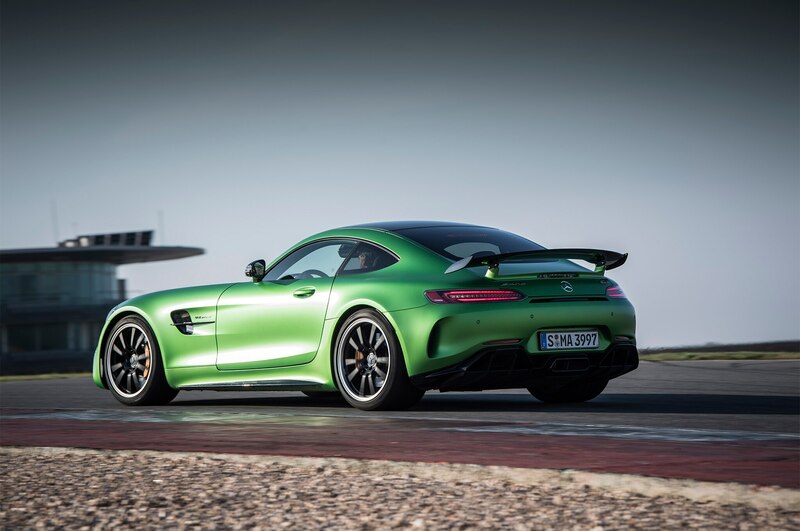 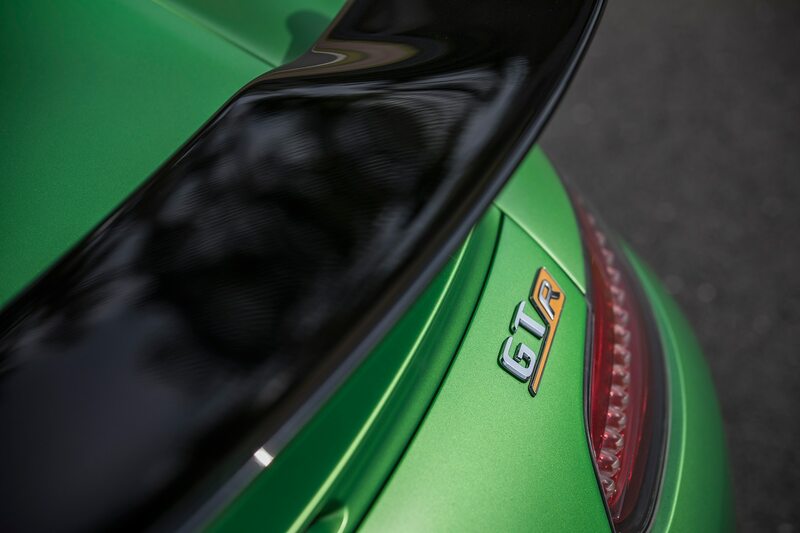 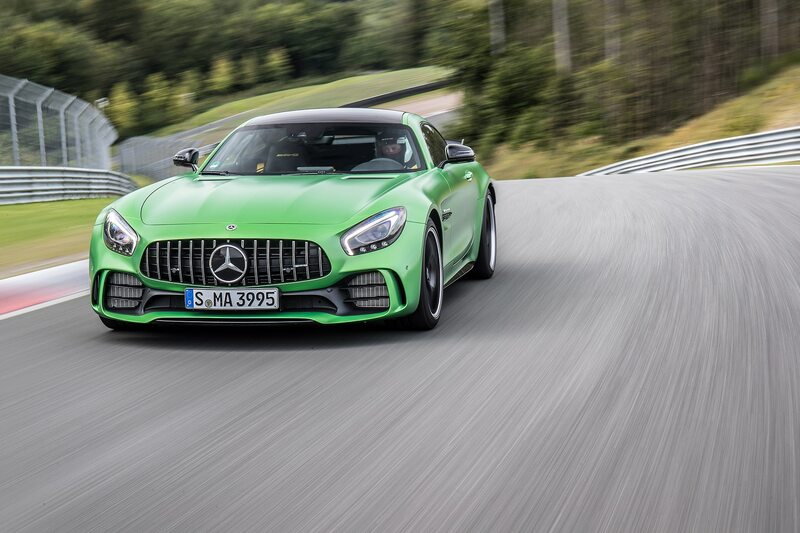 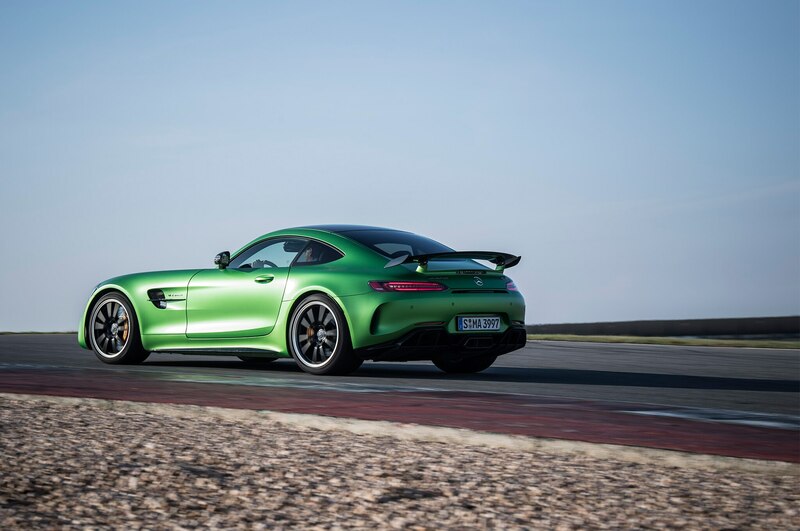 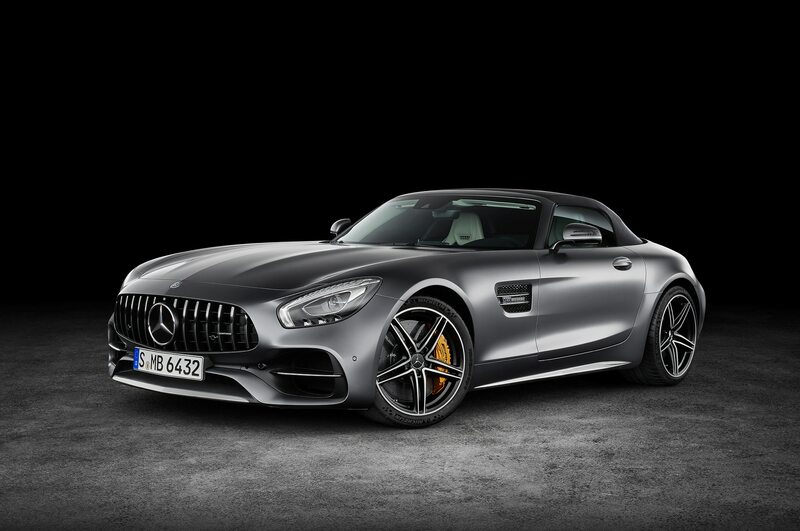 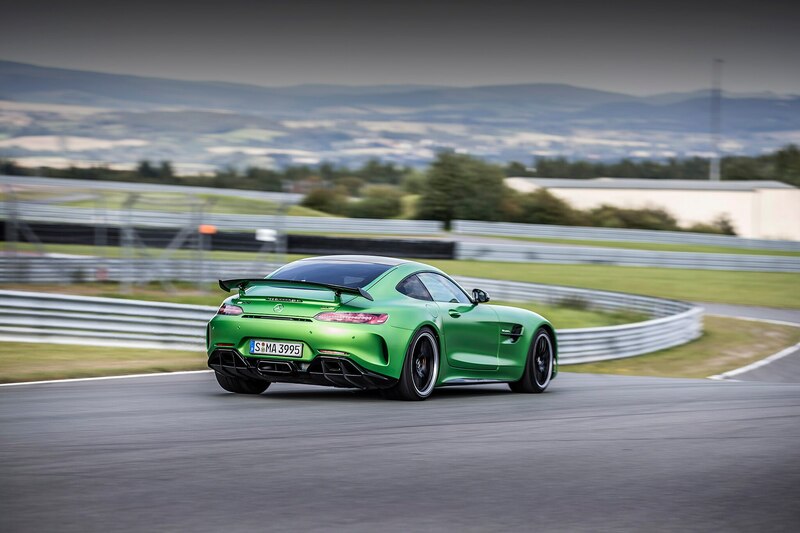 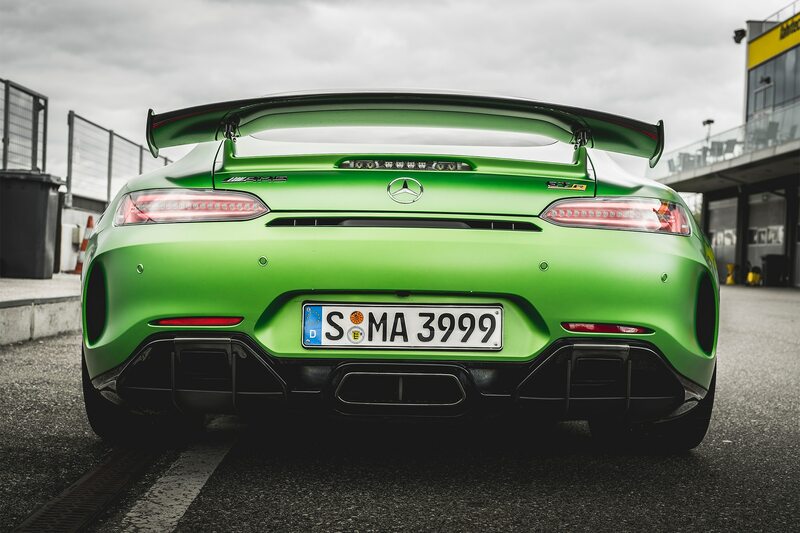 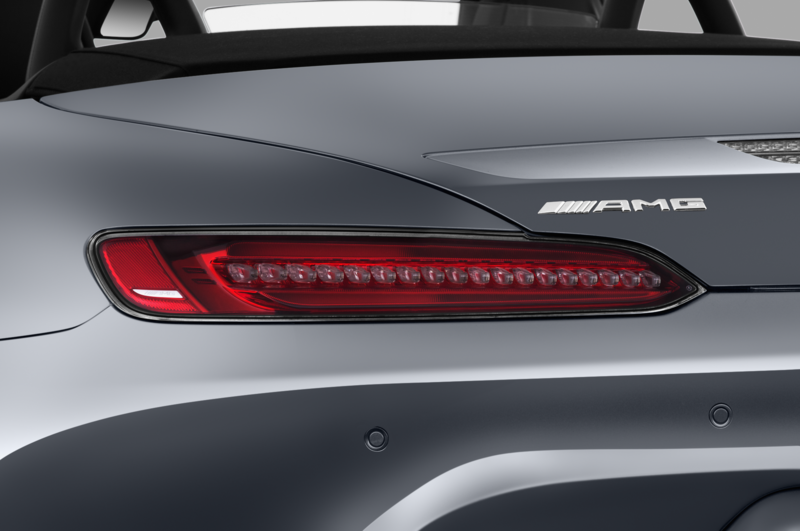 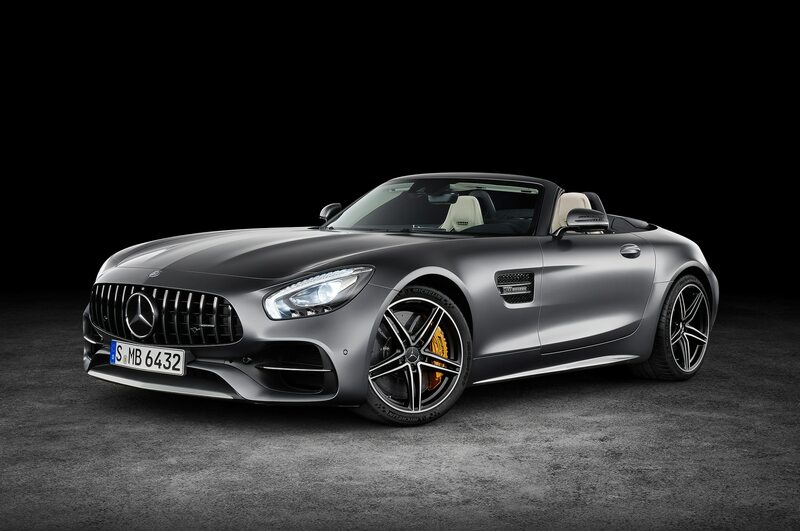 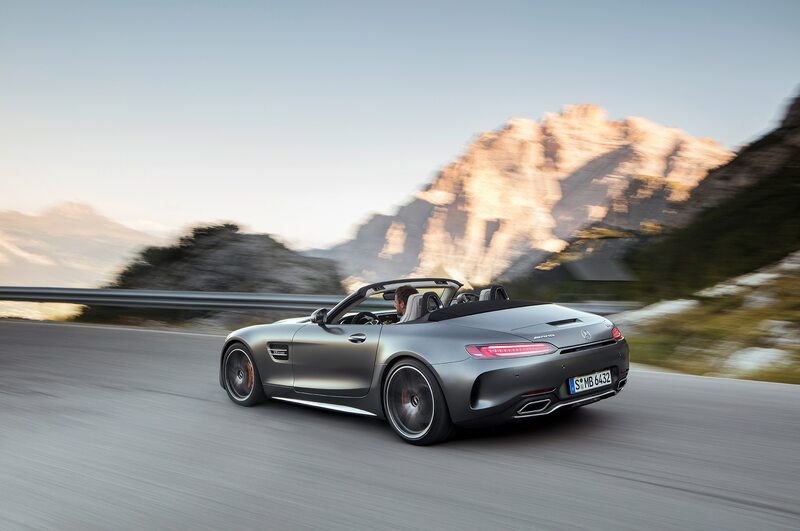 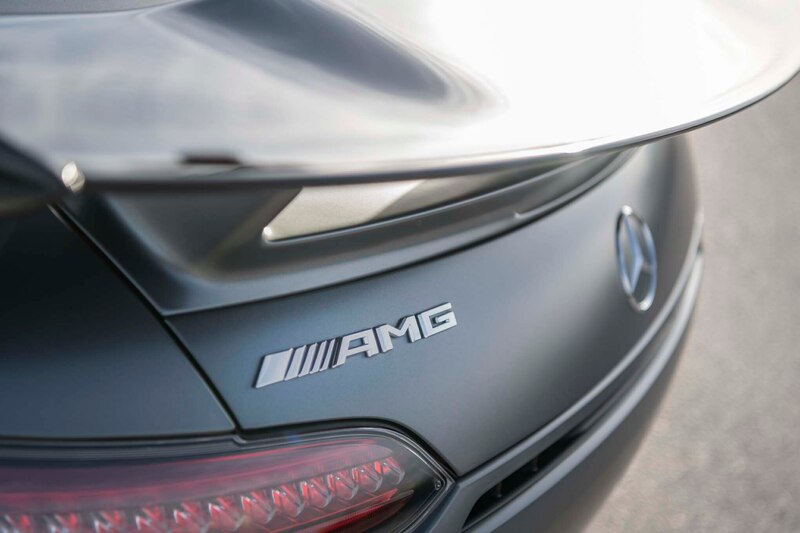 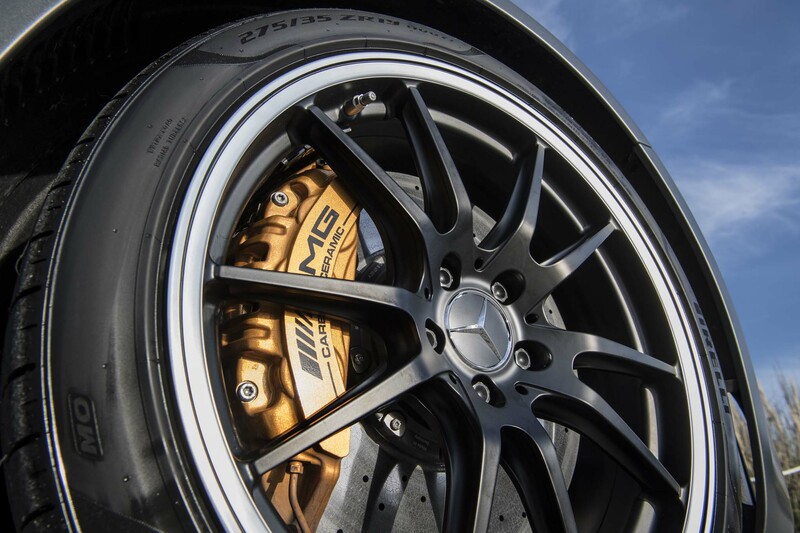 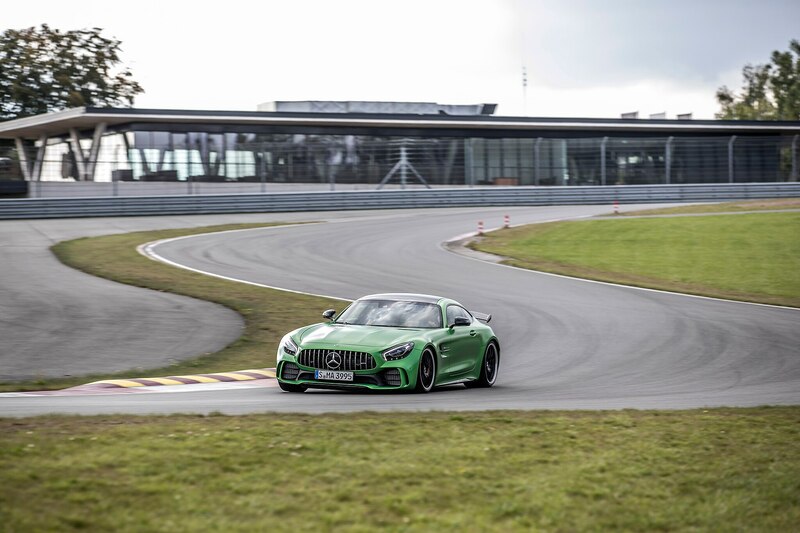 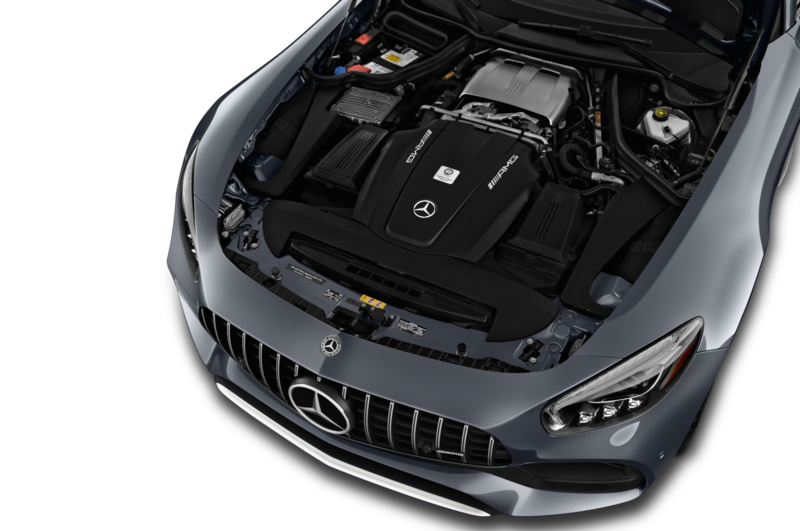 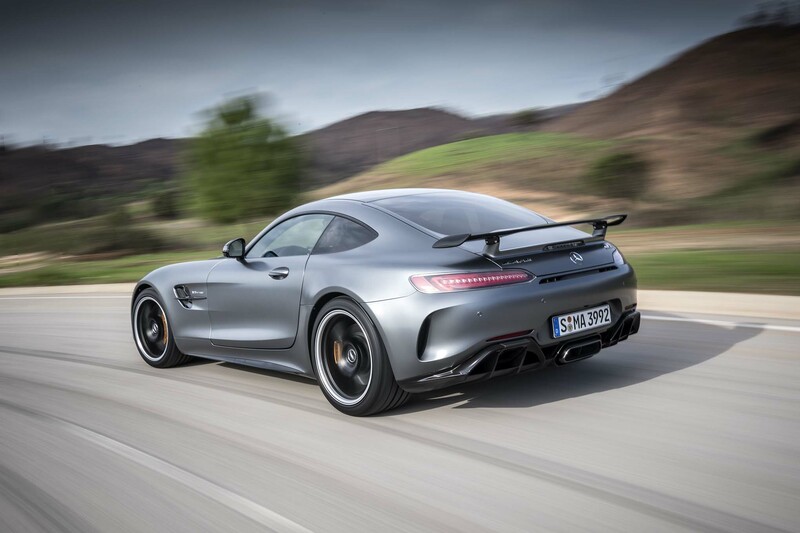 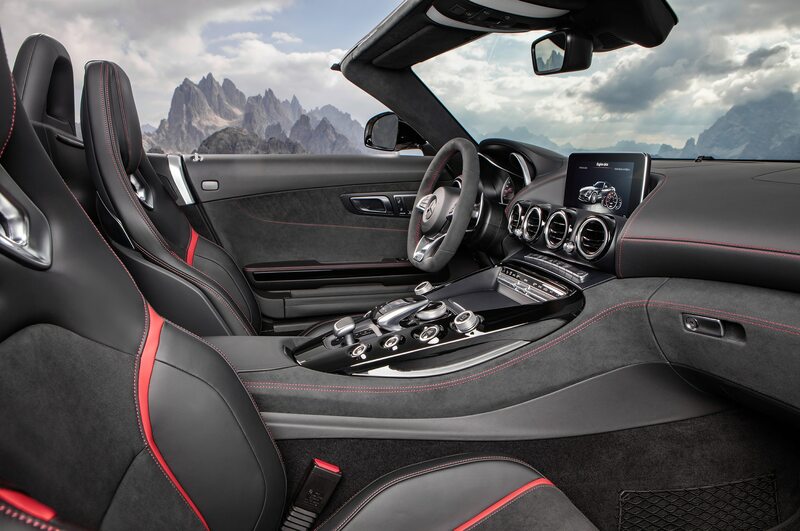 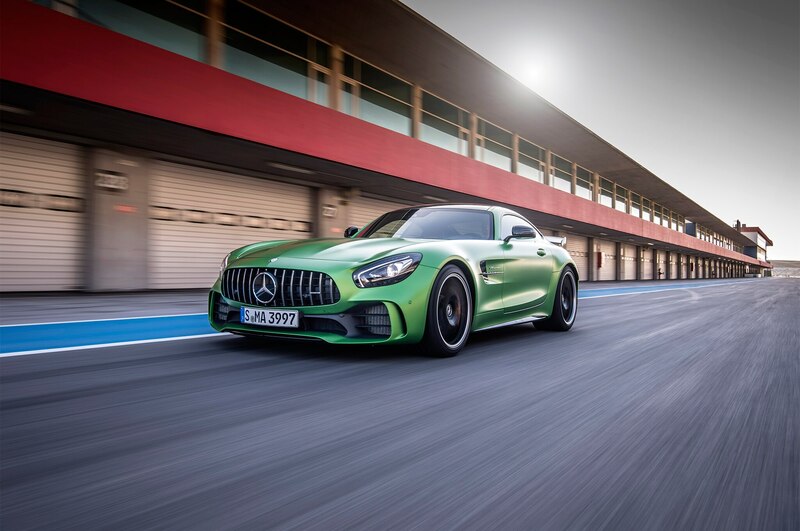 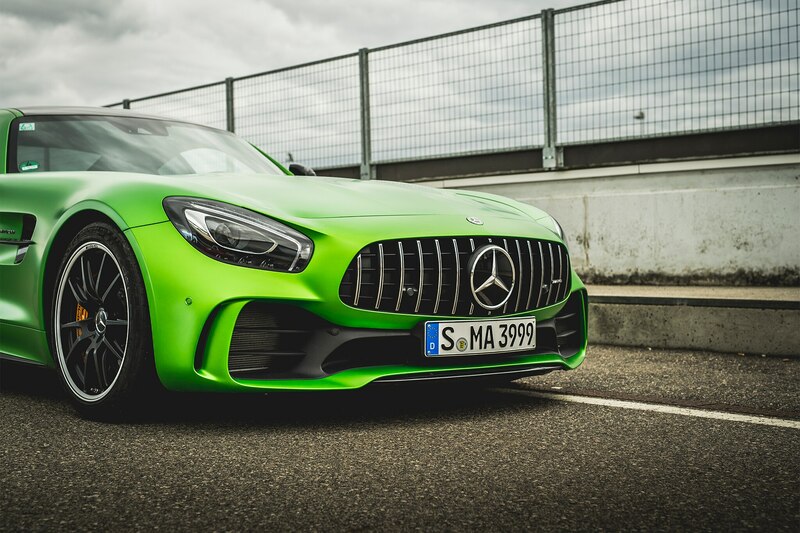 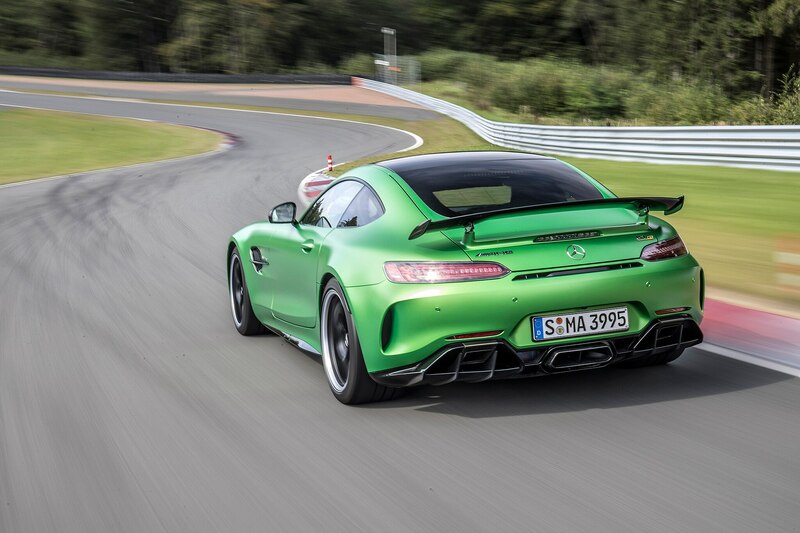 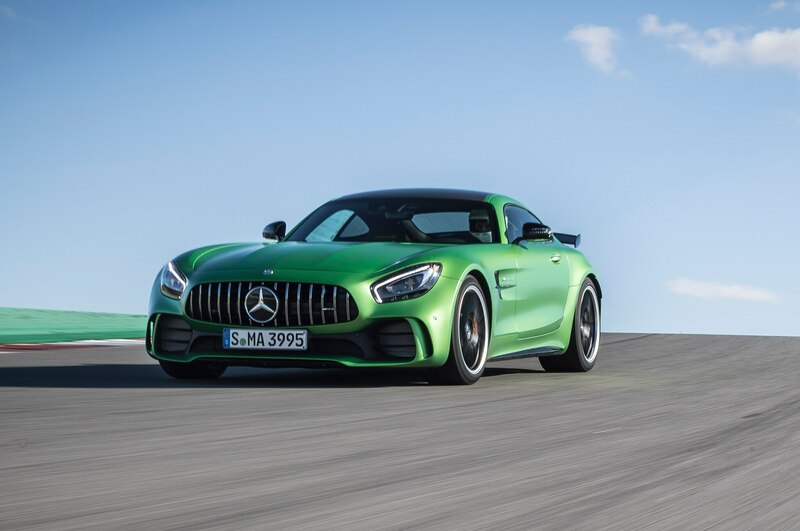 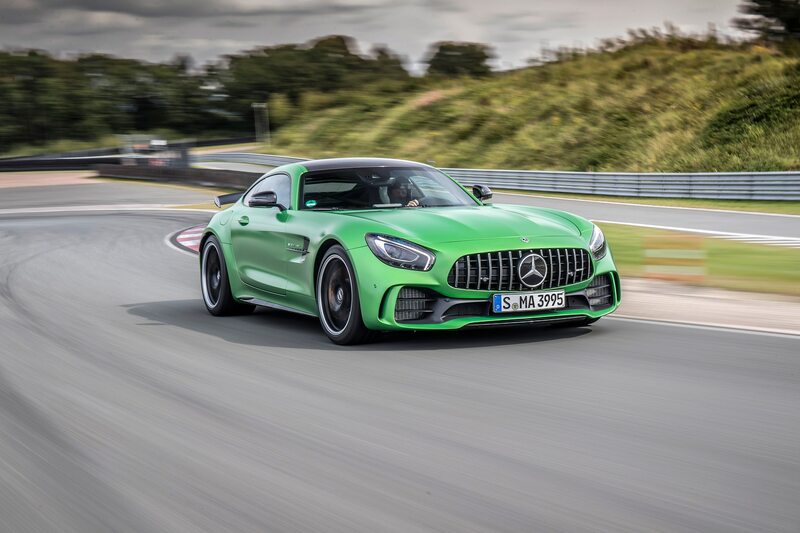 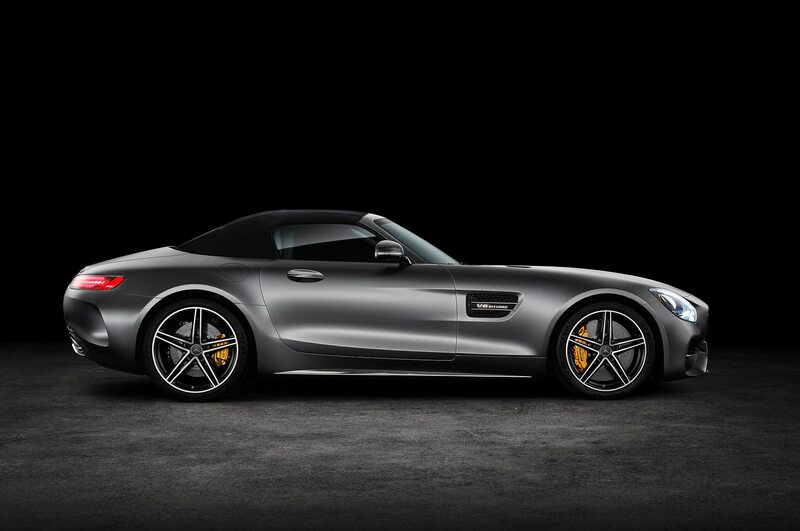 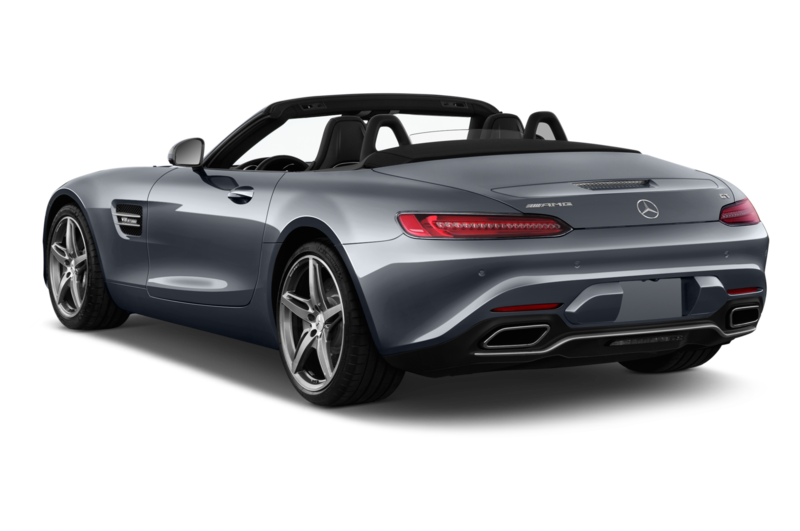 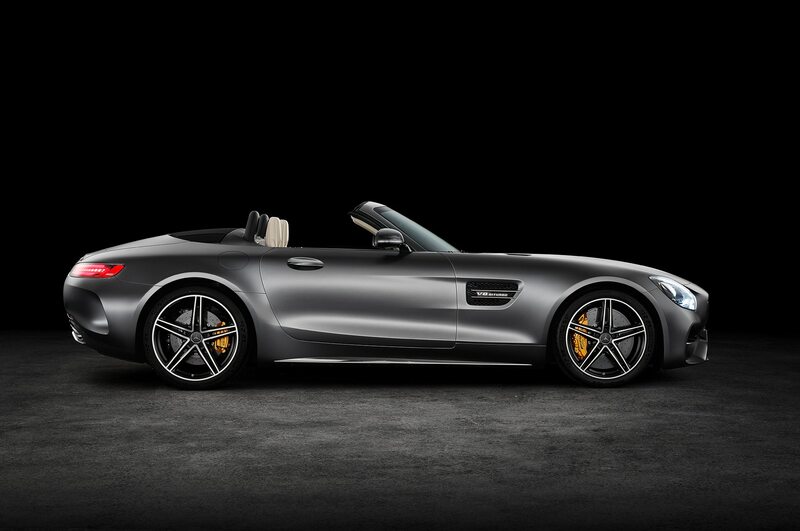 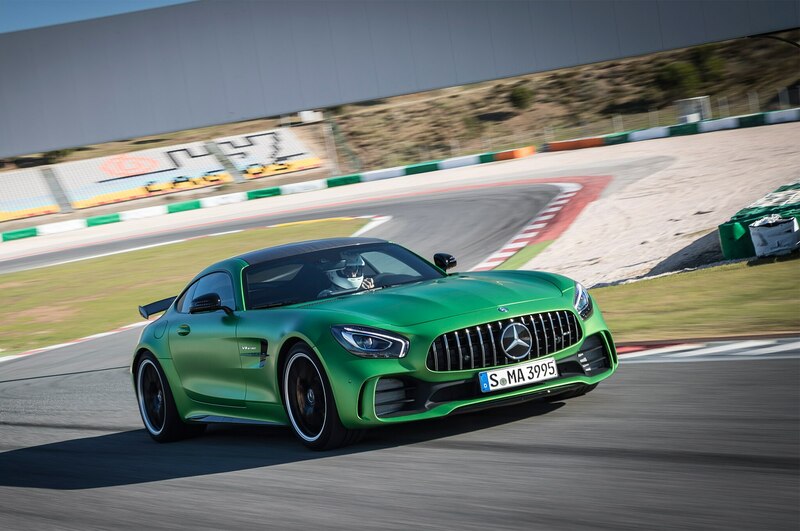 But the AMG GT R is no coupe—it’s a liftback! 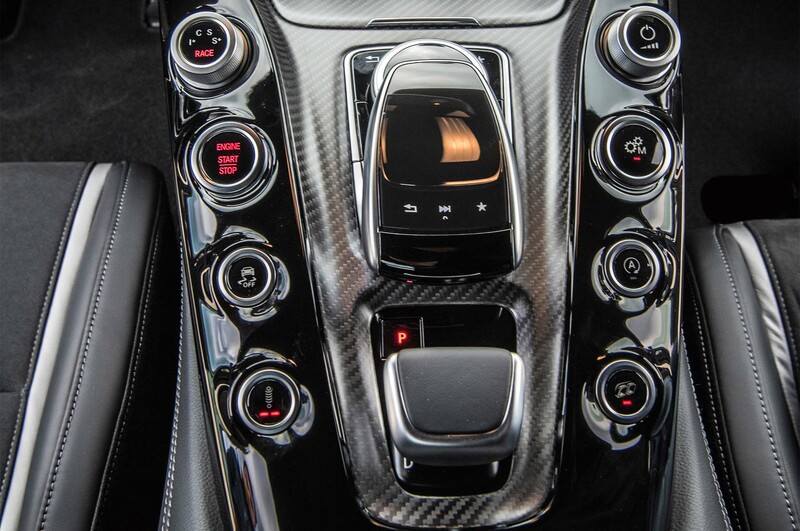 And the engine is up front instead of in the middle or at the rear. 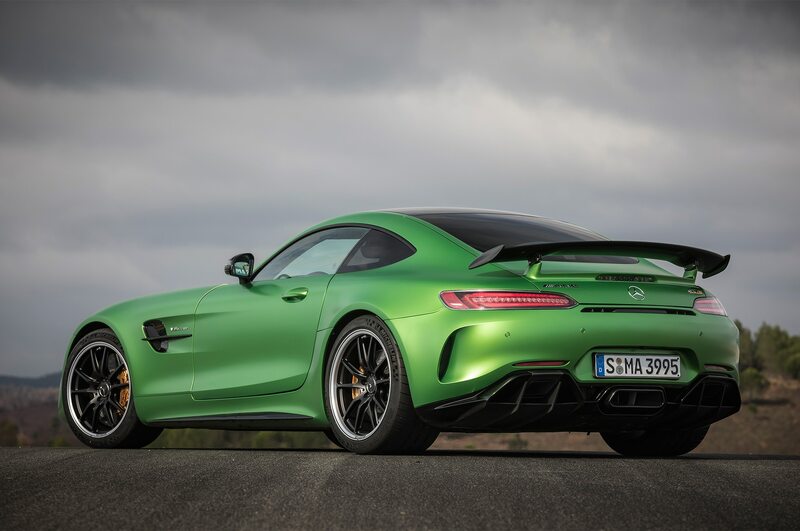 Thus, instead of having to rig my board up on the roof like I’d have to with, say, an Audi R8 or Porsche 911, I simply threw it (a 6-foot 4-inch fish) in the back, resting it on the GT R’s $1,600 carbon fiber crossbar. 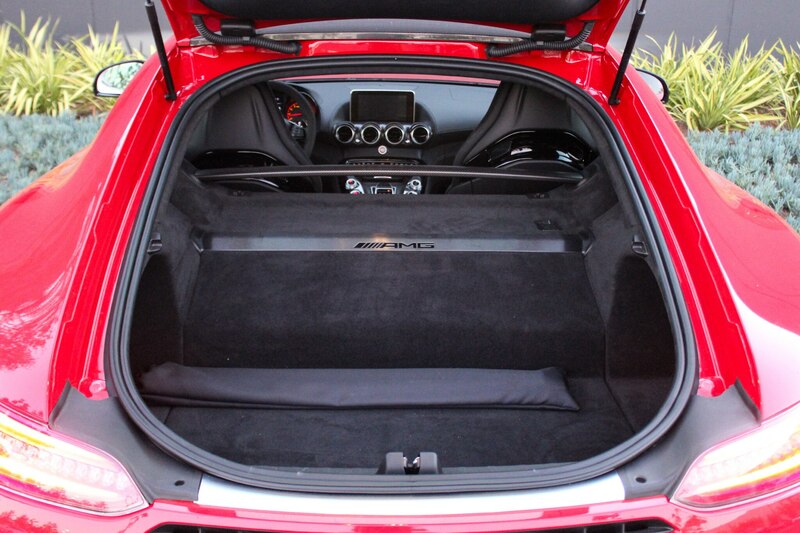 And there was still enough space left over for my duffel bag of gear. 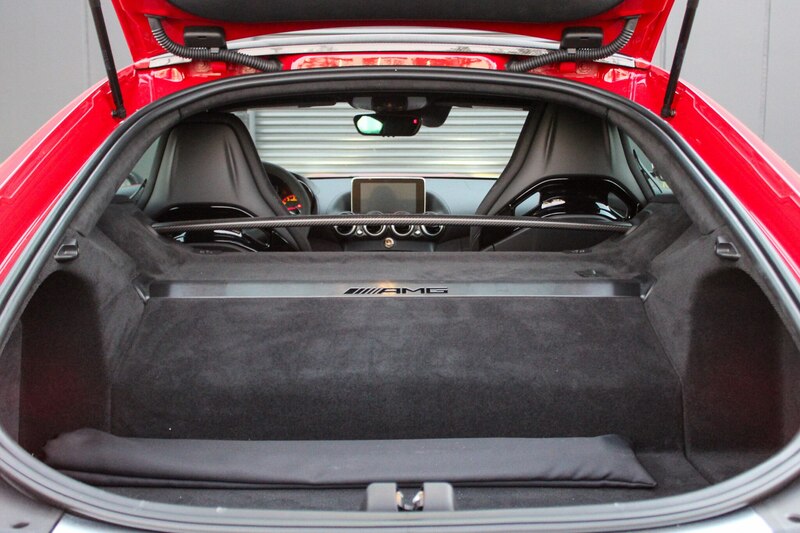 Who says sports cars can’t be practical? 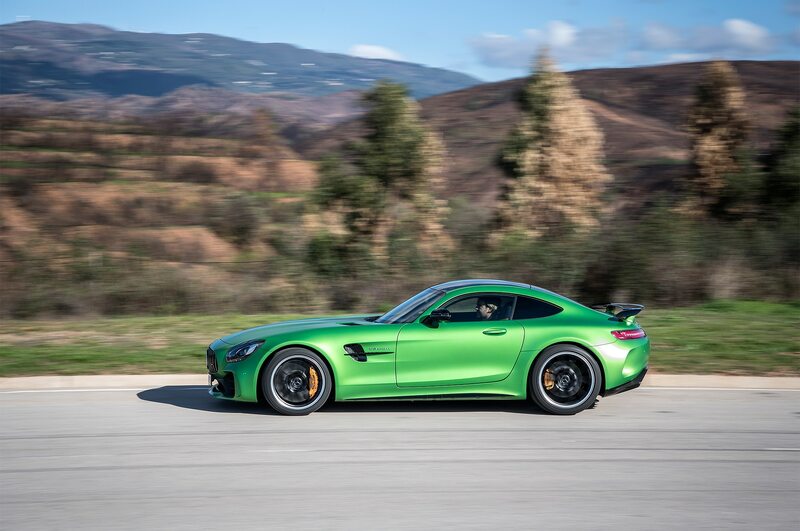 Of course, the AMG GT R is much more useful for shredding tires than carrying shred sticks. 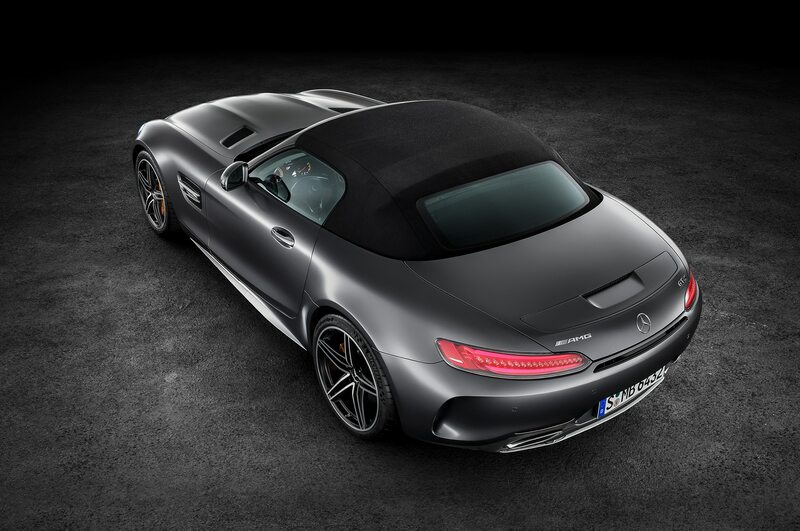 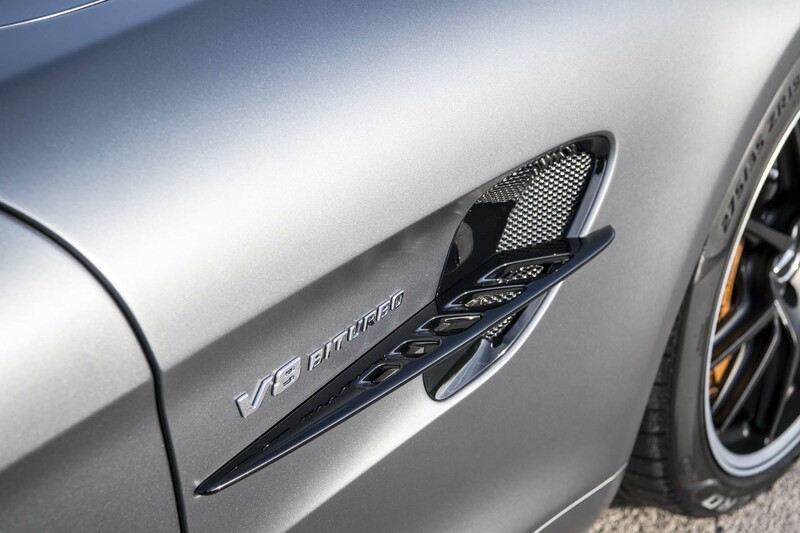 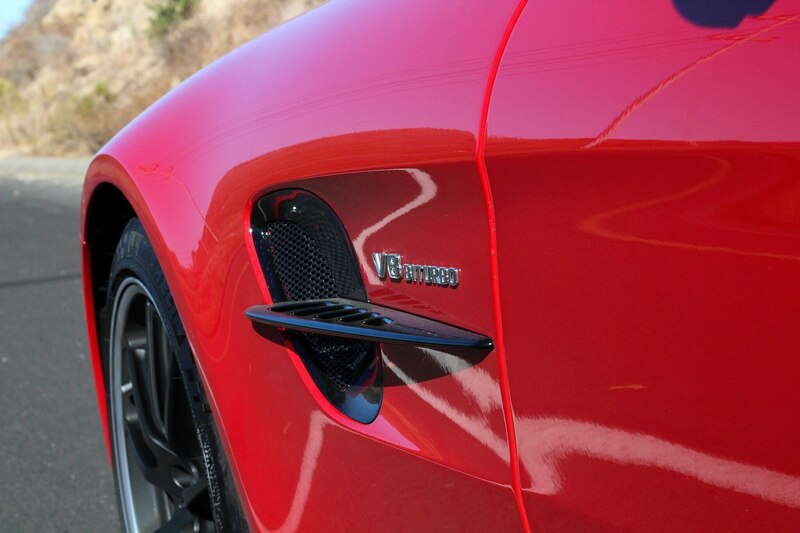 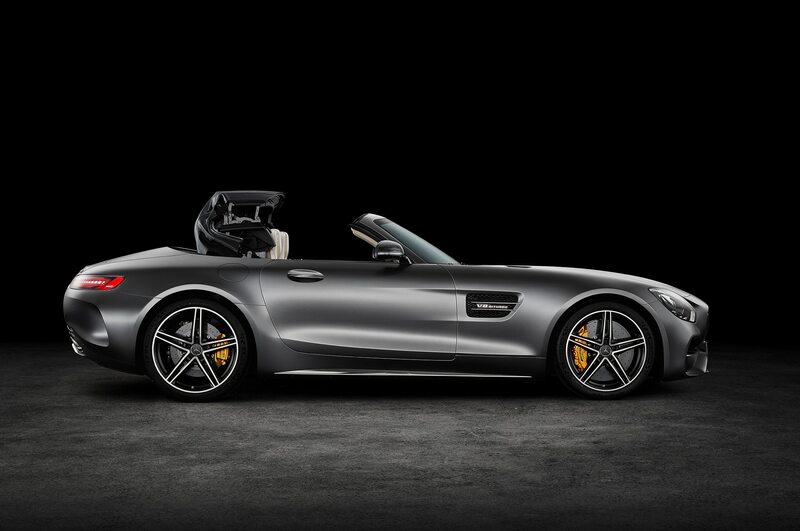 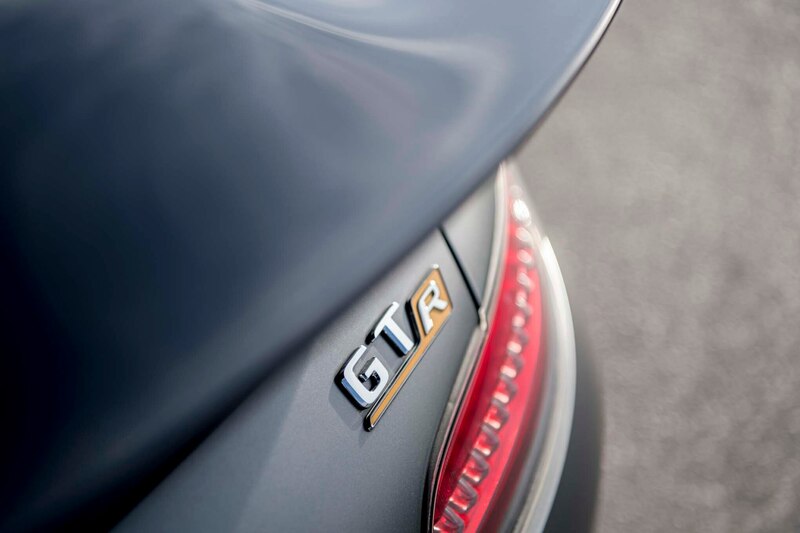 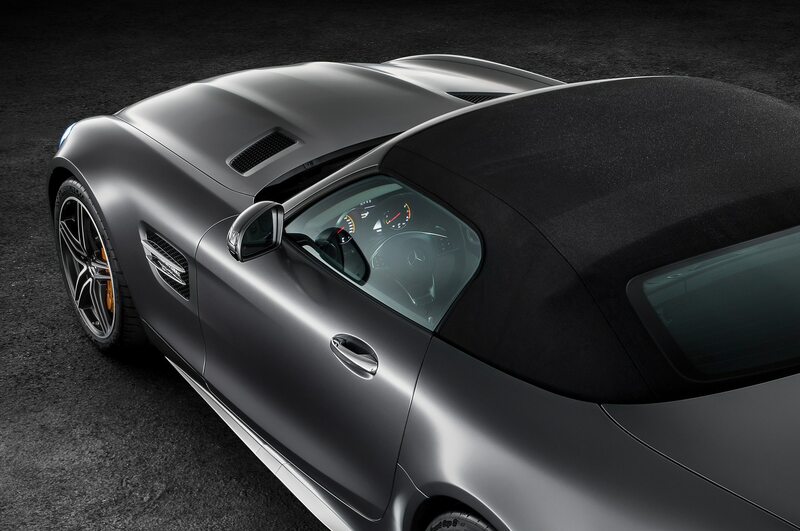 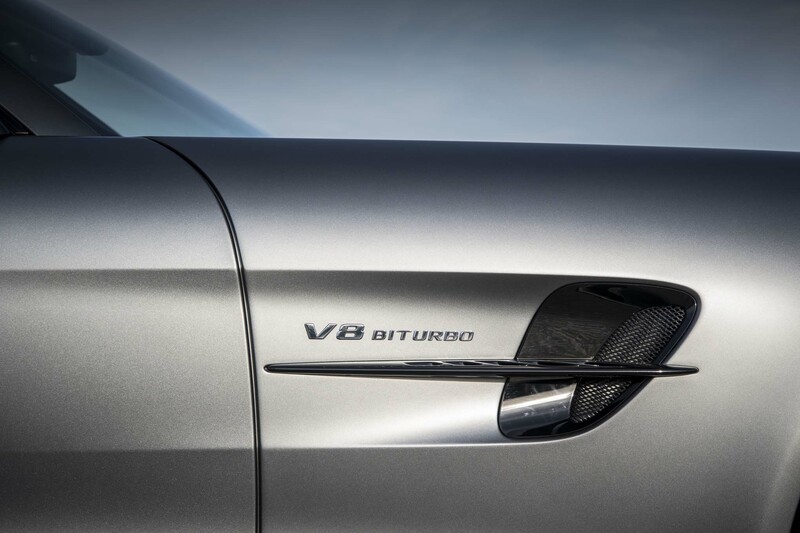 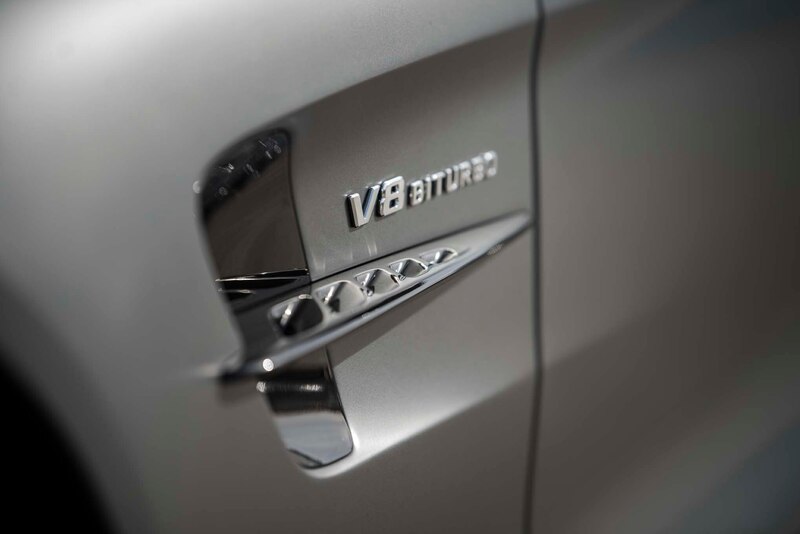 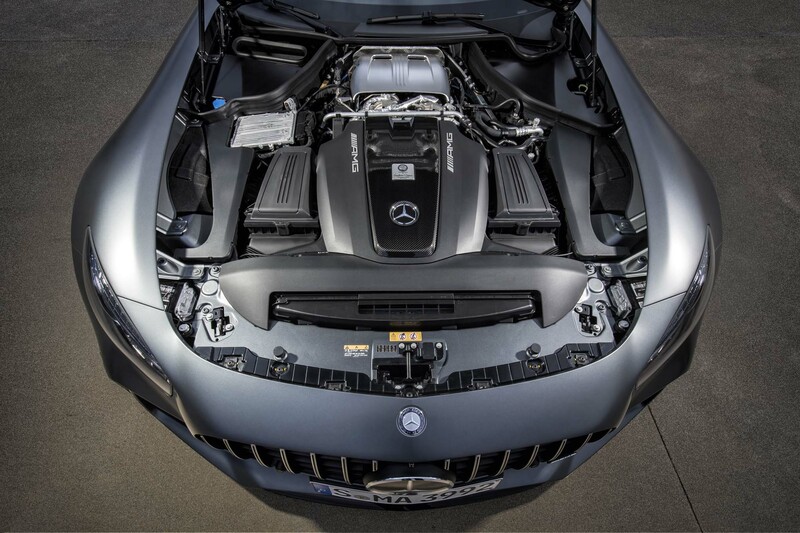 A 4.0-liter twin-turbo V-8 good for 577 hp and 516 lb-ft of torque will do that. 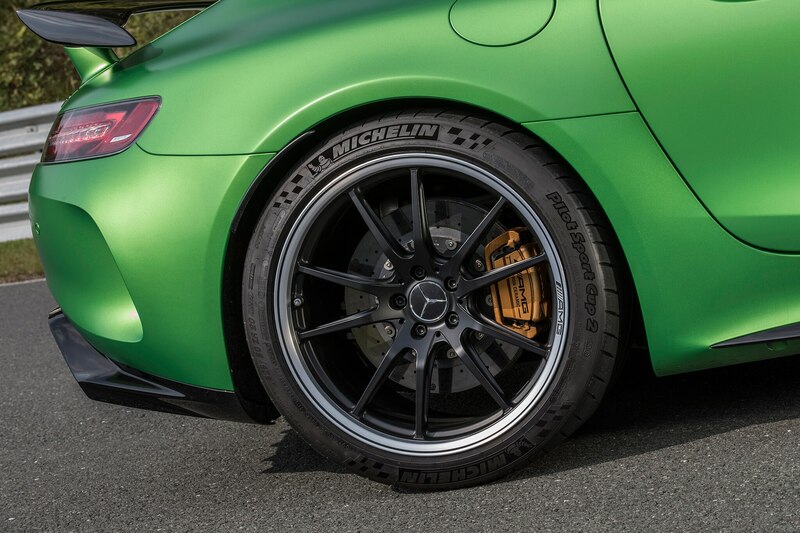 It may wear Michelin Pilot Sport Cup 2s, 275/35ZR19 up front and massive 325/30ZR20 meats at the rear (add $1,700 for the sweet black rims), but all that means is that more of the pavement will be ripped out when peak torque makes its way to those beefy rears via AMG’s seven-speed dual-clutch automatic transmission at a mere 1,900 rpm. 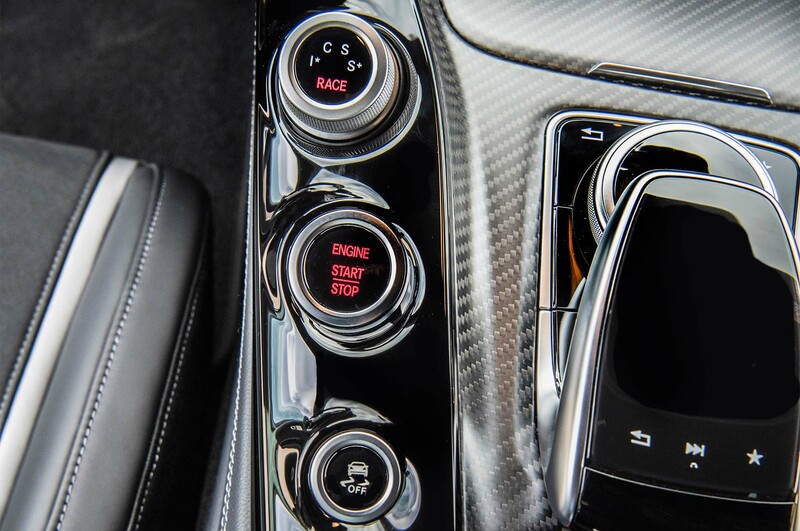 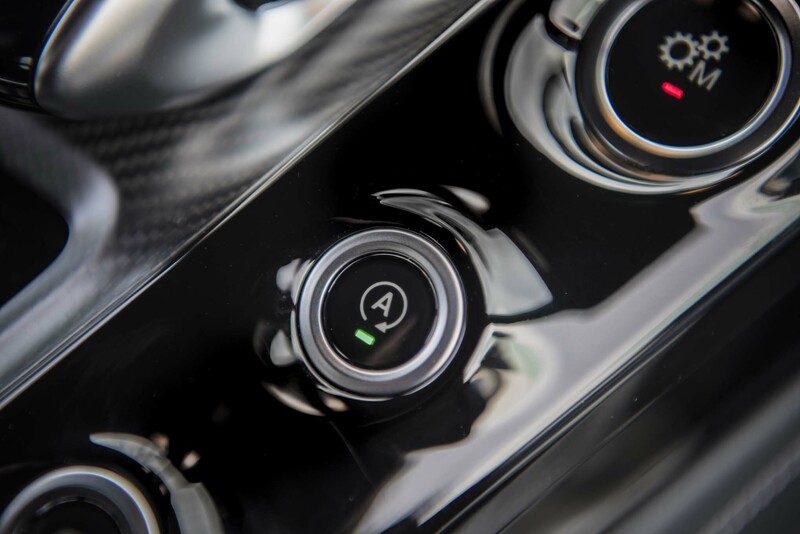 Be sure to switch off the stop/start, though it’s probably best to leave the stability and traction control on around town. 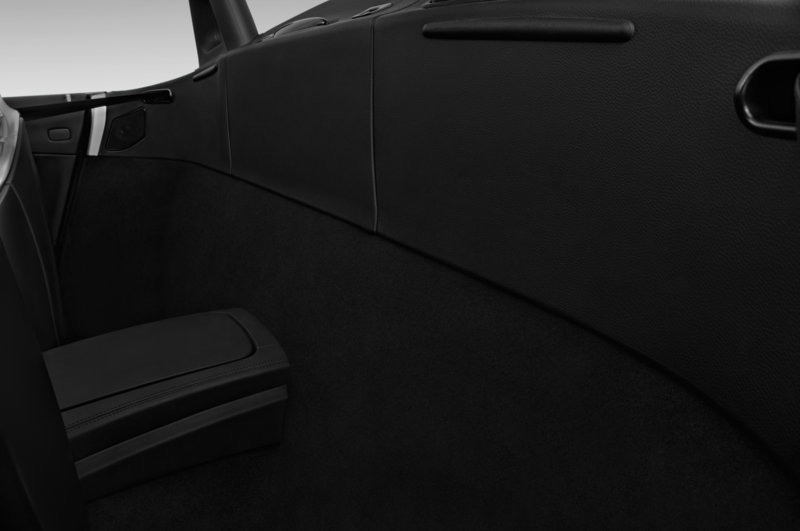 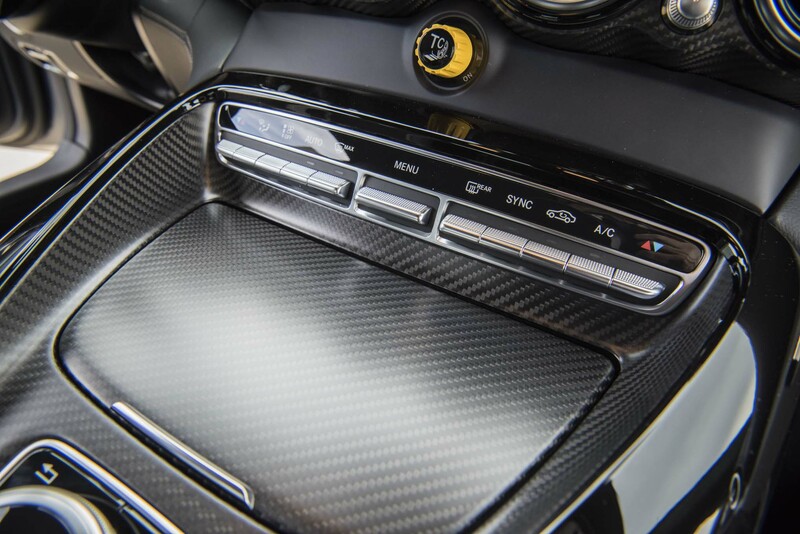 Hit the “loud” button on the center console, too—the titanium exhaust sounds much better that way; in standard mode, the note is a bit tinny. 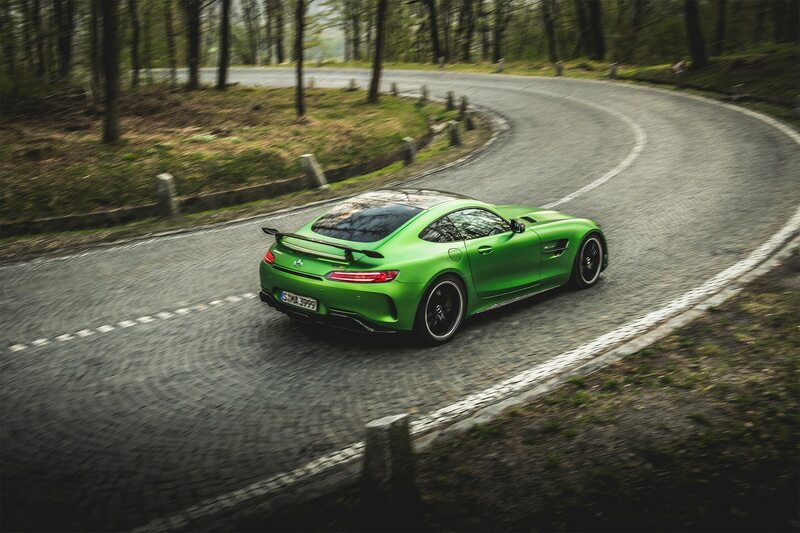 Frankly, the street is not an appropriate place to take the leash off this wild animal. 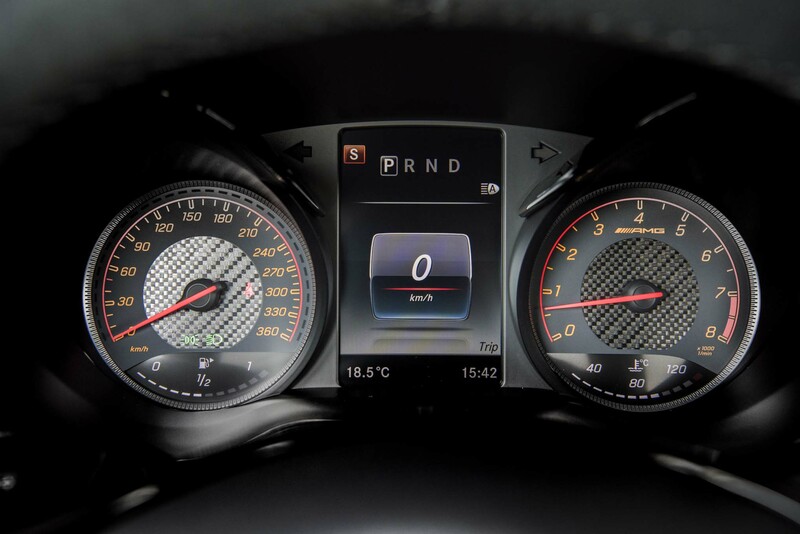 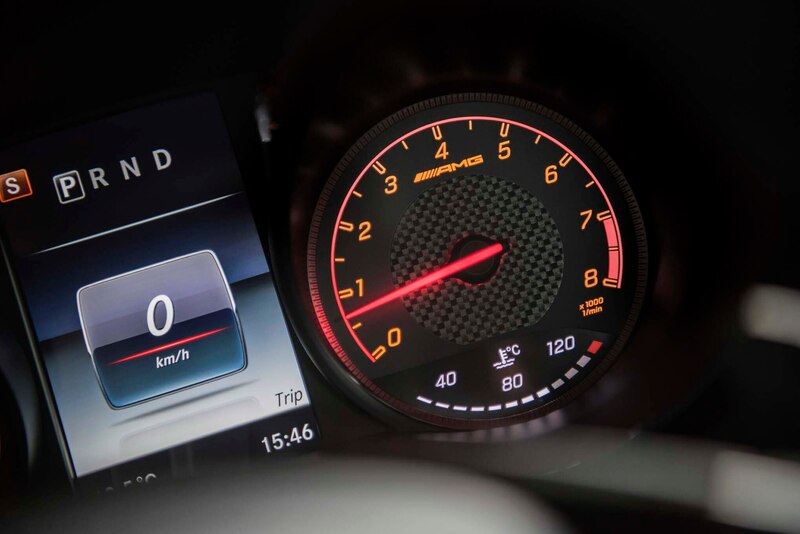 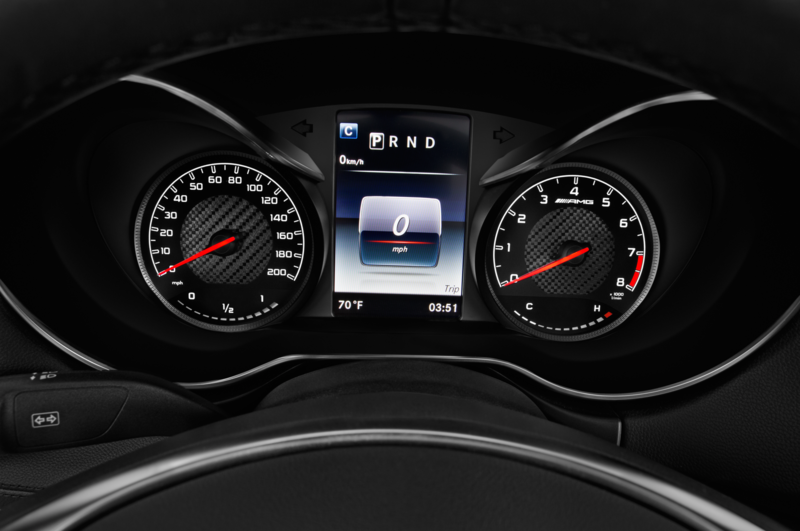 When a car can hit 60 mph in just 3.5 seconds, there isn’t much room under the speed limit for open-throttle shenanigans. 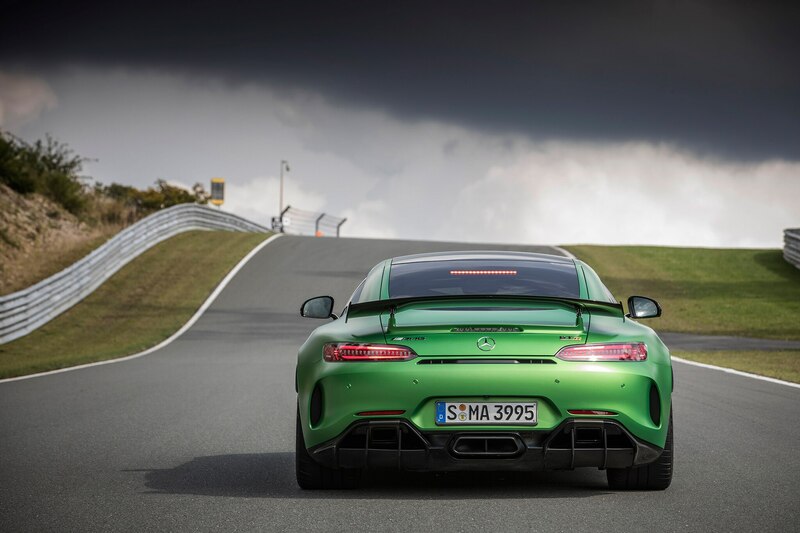 You’ll never be able to stress the chassis, anyway. 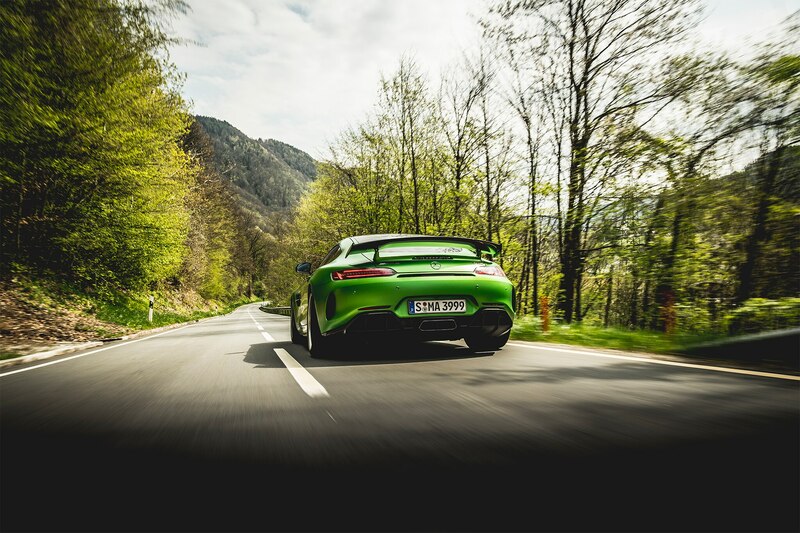 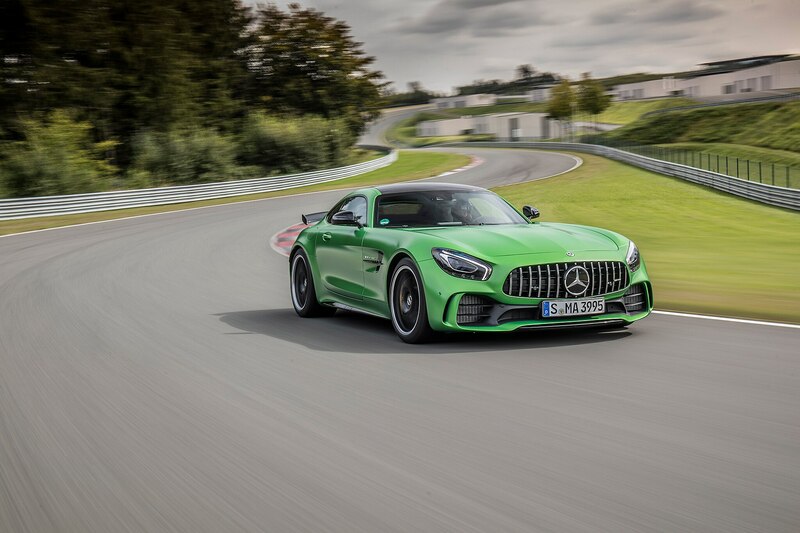 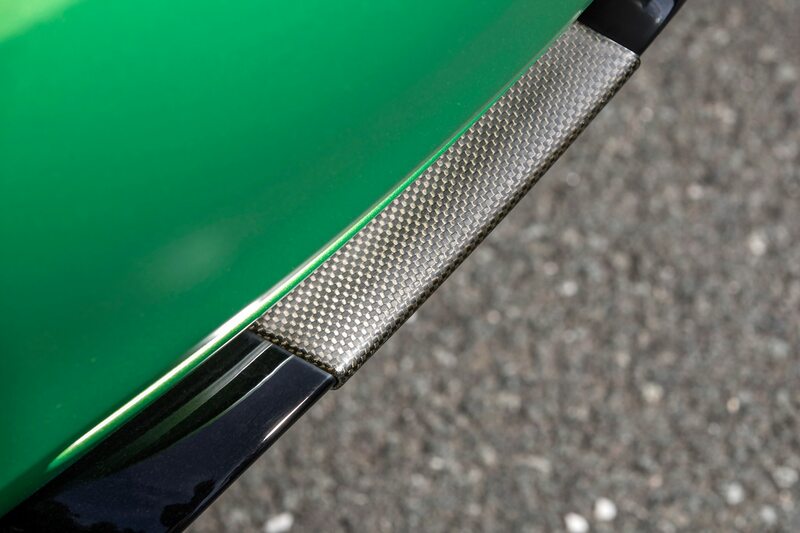 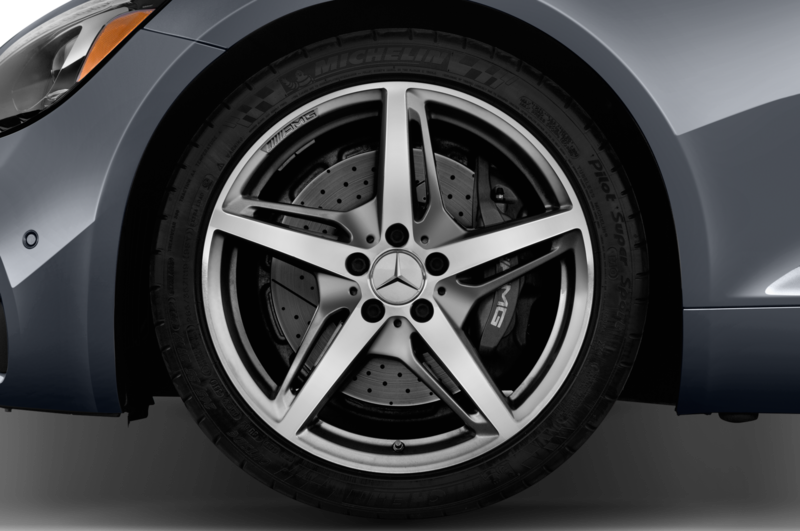 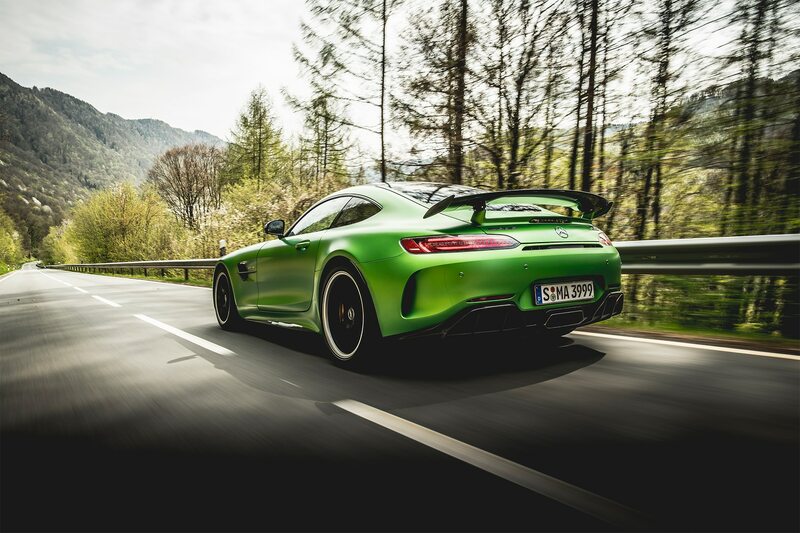 The Michelins alone guarantee that, but there’s insurance in the form of the GT R’s adaptive suspension, rear-wheel steering, and $8,950 carbon ceramic brakes. 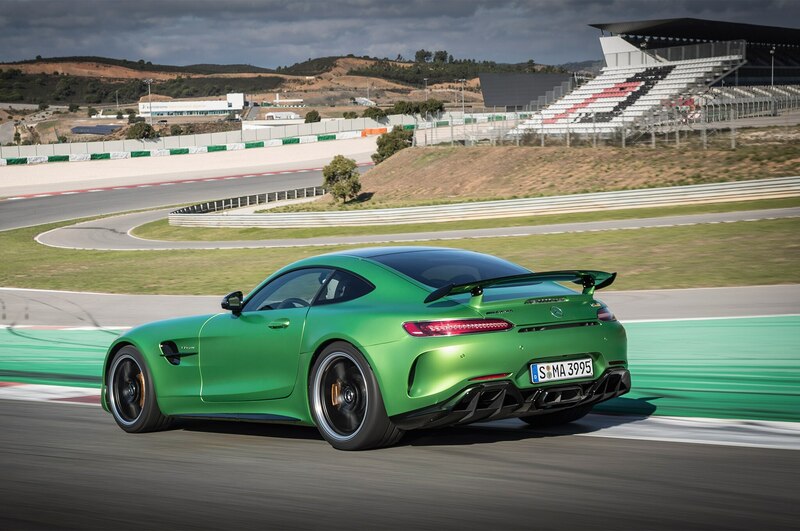 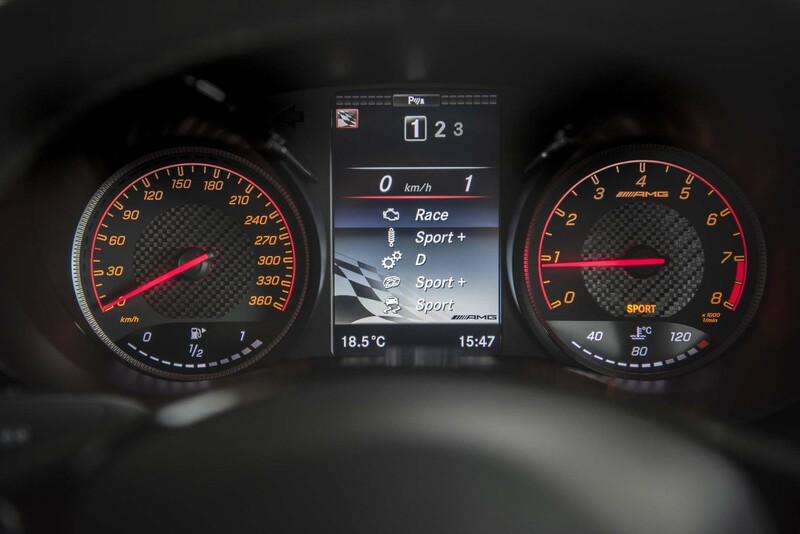 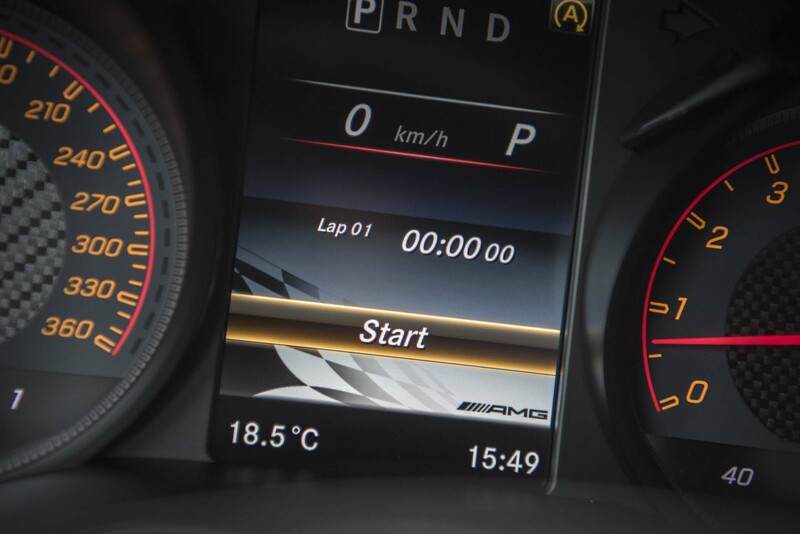 Fortunately, European bureau chief Georg Kacher drove one somewhere more appropriate—the Portimão circuit in Portugal—so we can confirm that there are no concerns about the GT R’s performance at its orbital-level limits. 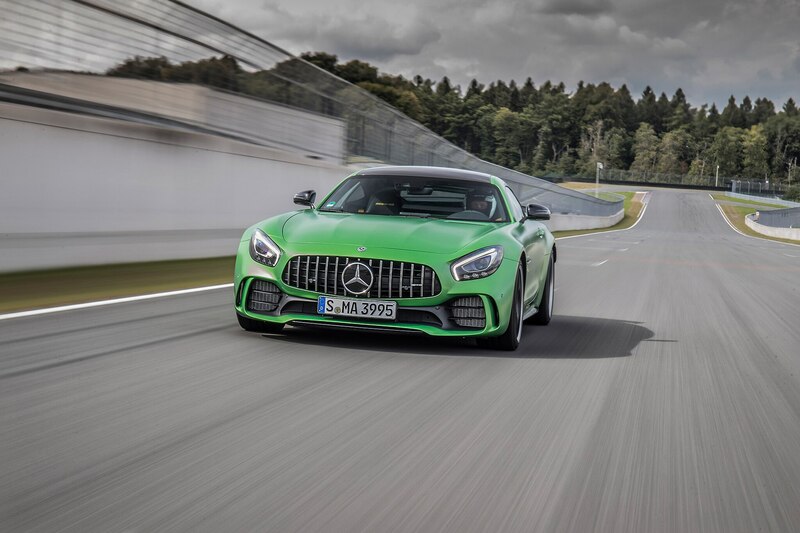 In fact, there’s little GT to the GT R. The stiff suspension and sport buckets make for a rough and bumpy ride, while the sticky Michelins considerably increase the noise factor. 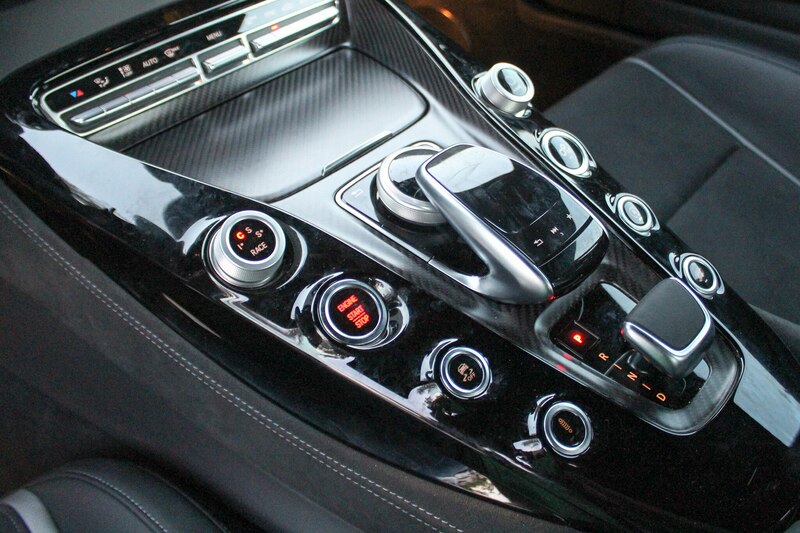 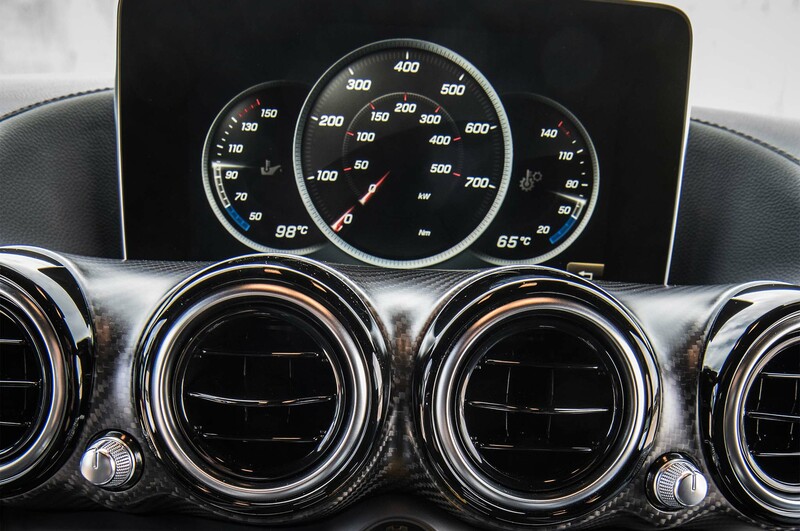 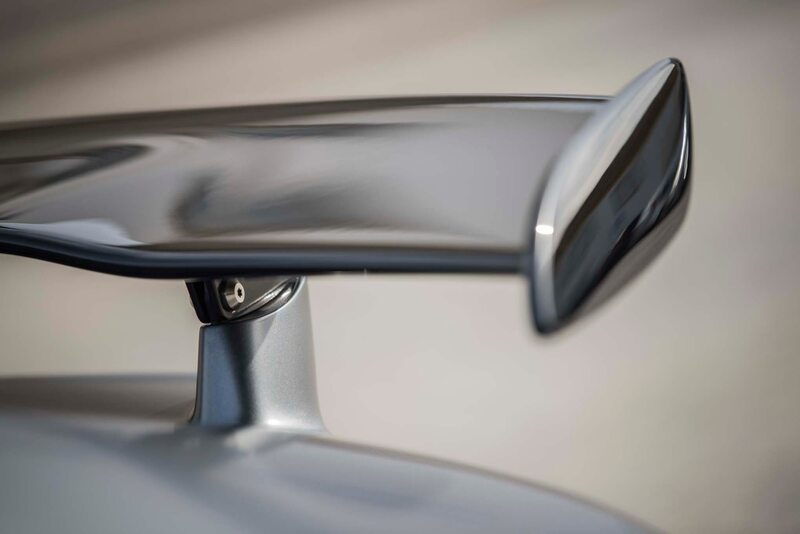 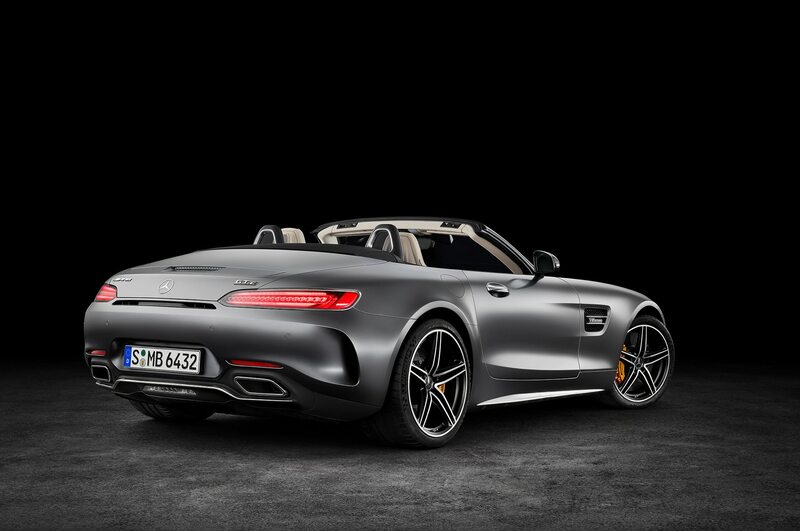 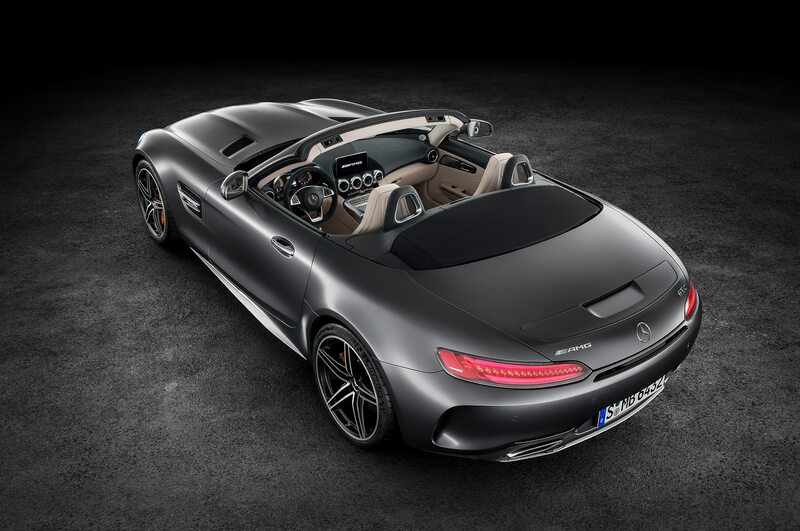 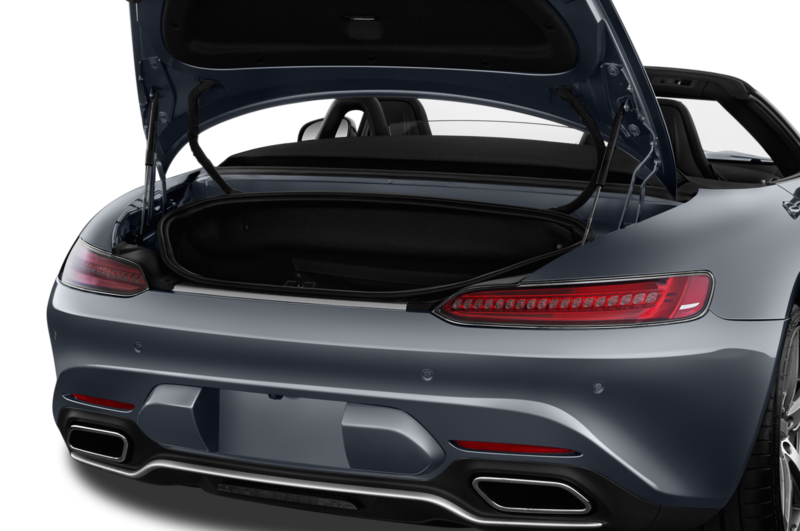 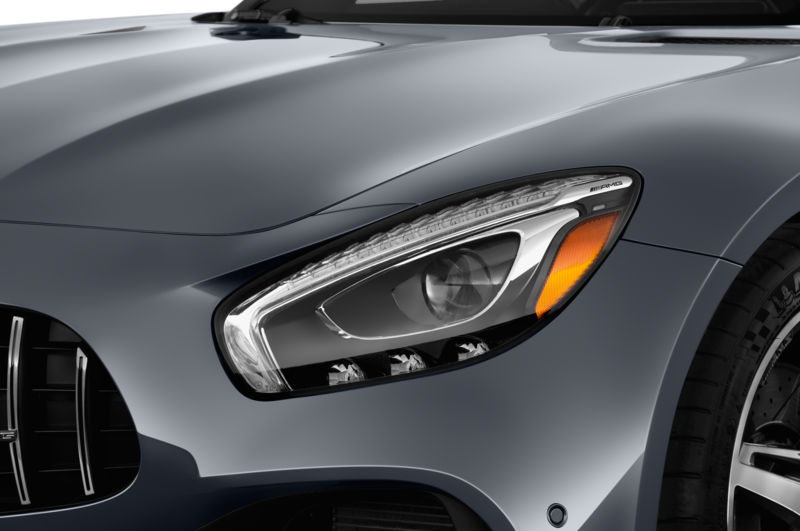 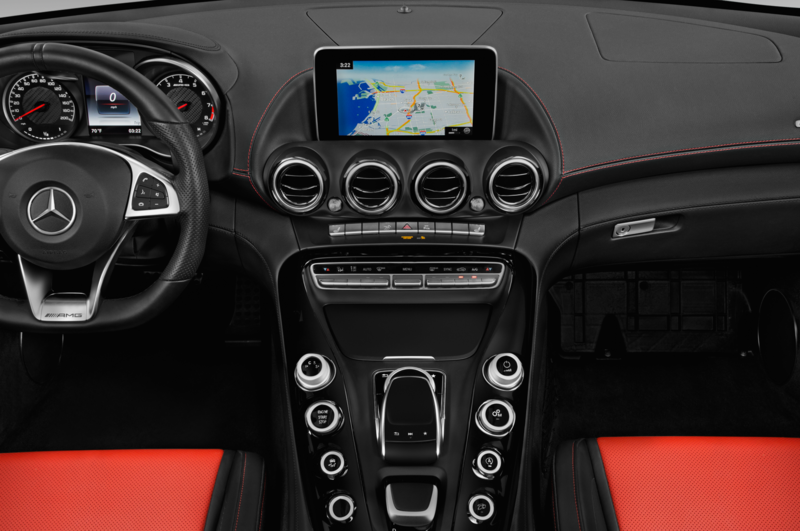 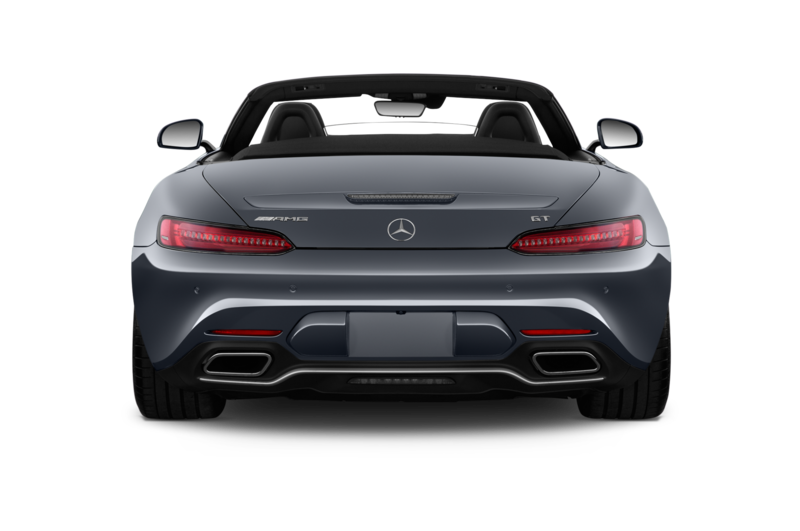 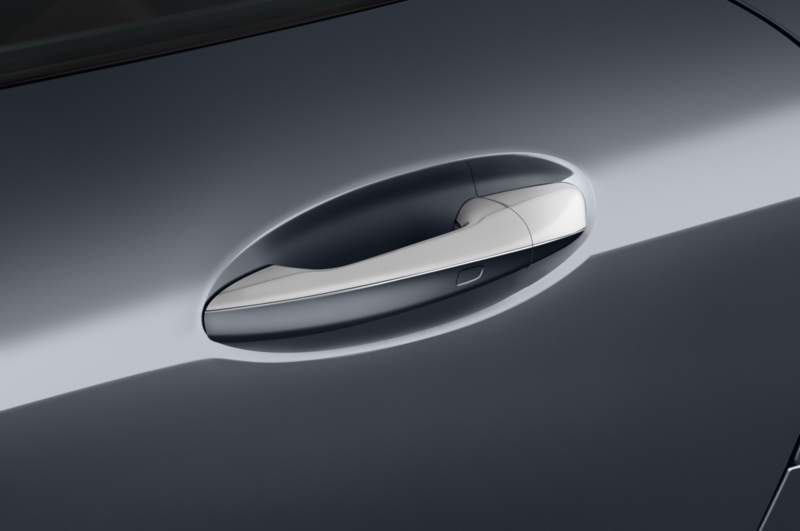 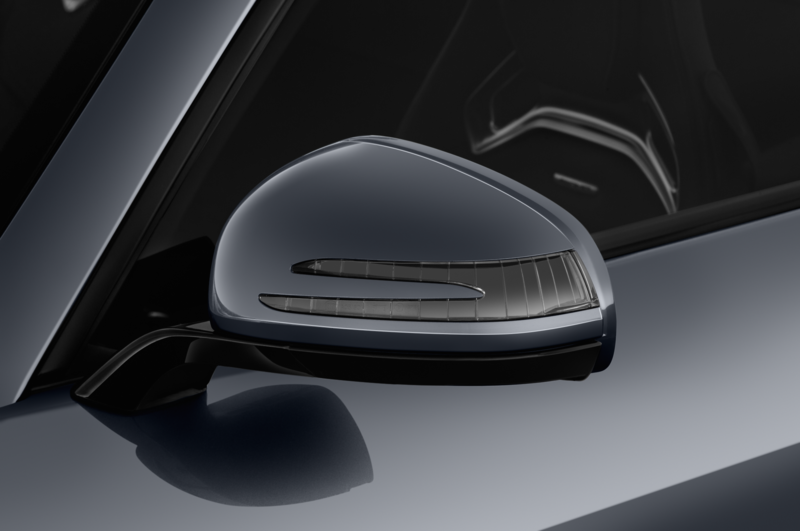 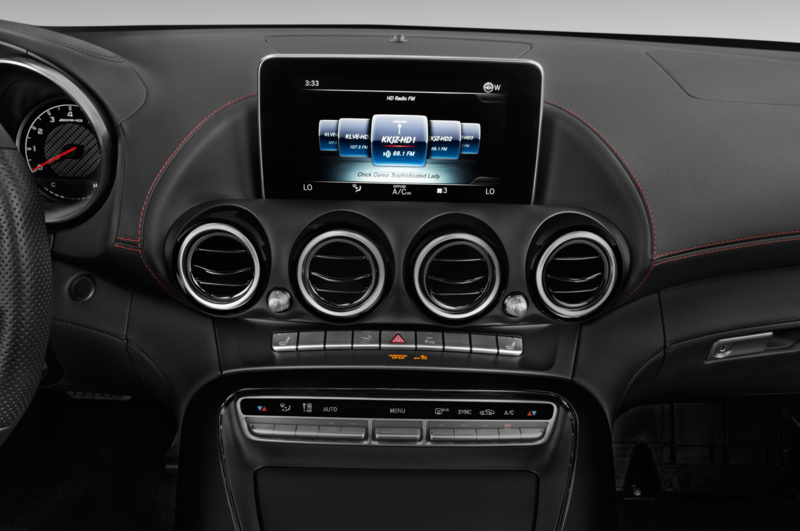 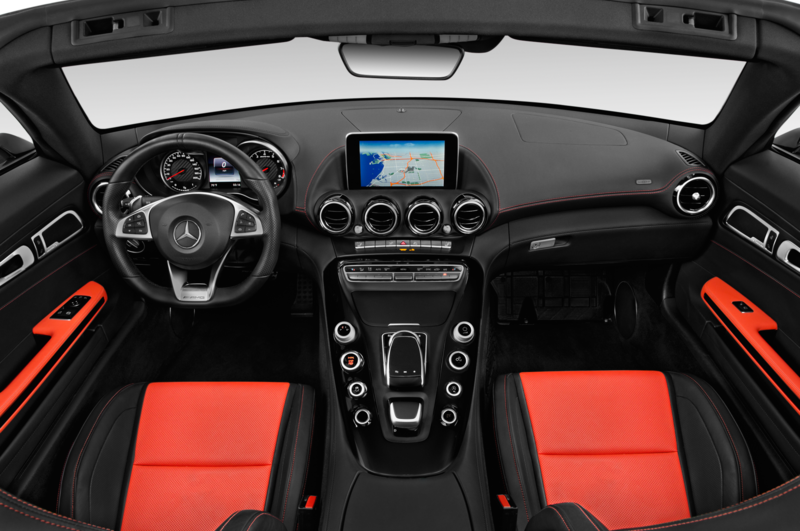 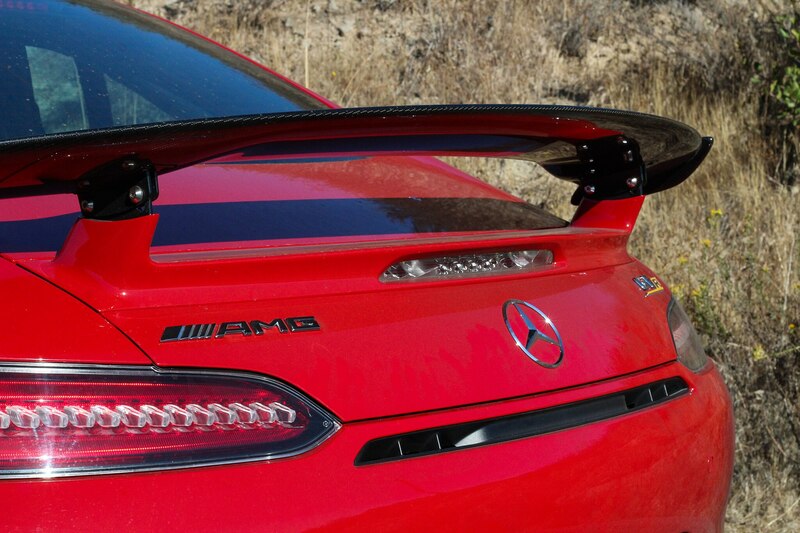 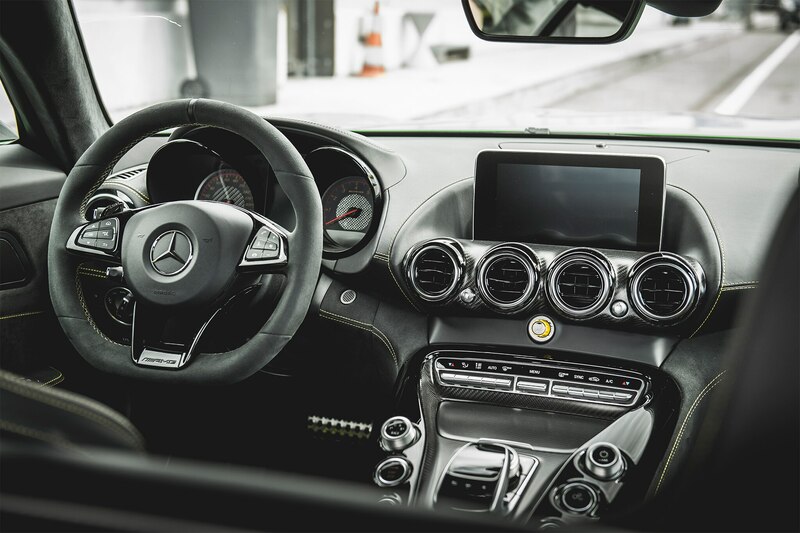 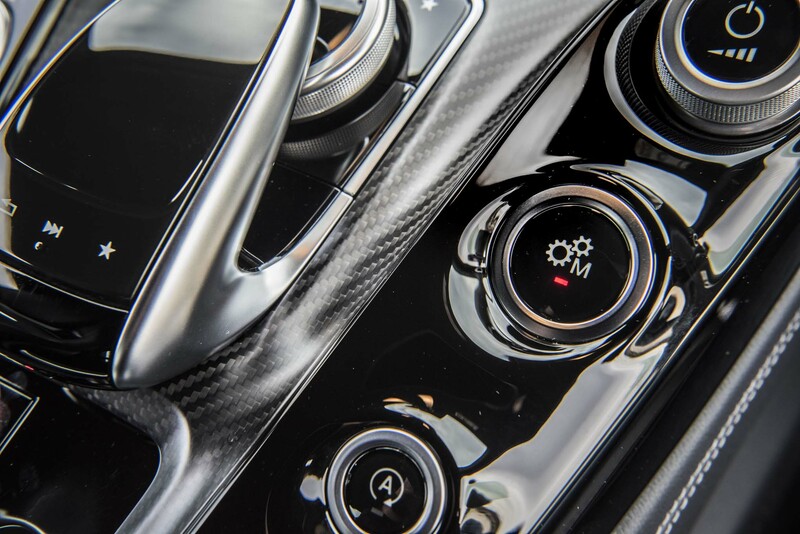 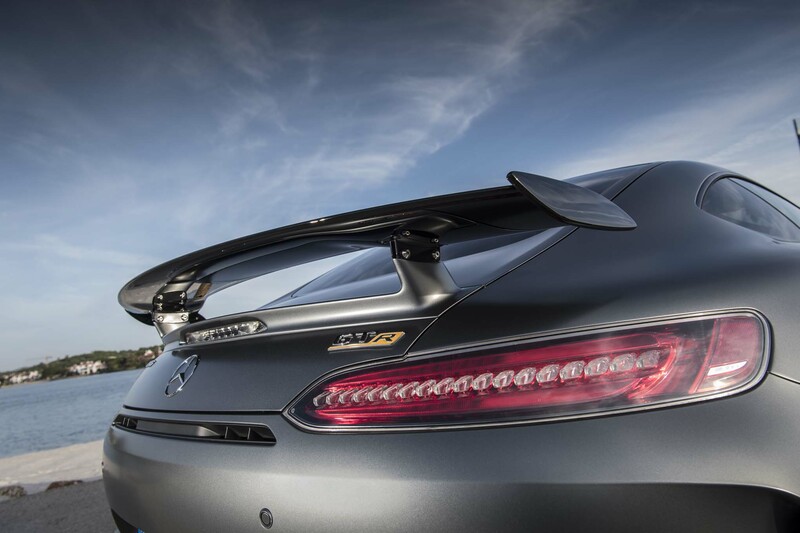 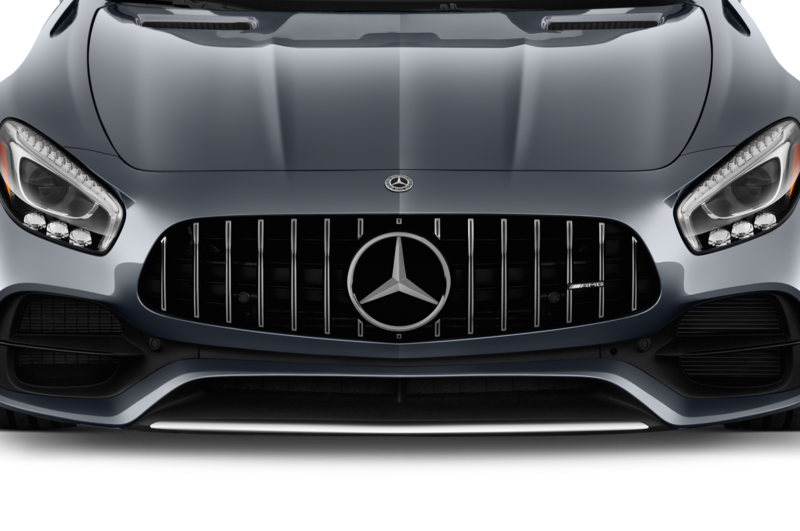 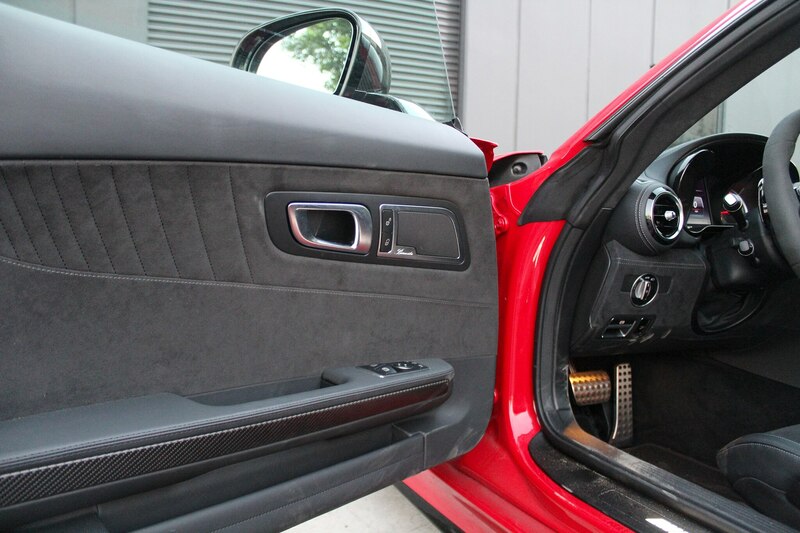 Worse, that sweet carbon fiber wing you paid an extra $4,000 for (Mercedes-AMG also throws in carbon-fiber mirror caps) makes the rear-view mirror basically useless. 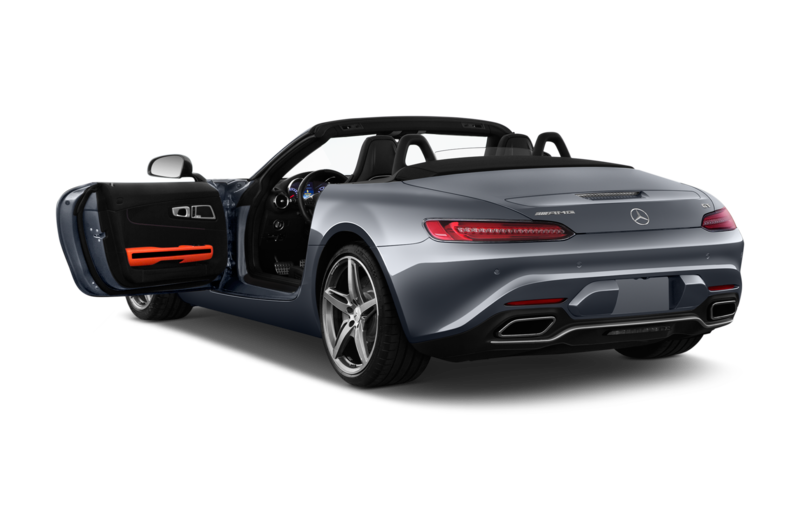 You’re probably better off parking yours at a place like The Thermal Club in Palm Springs and adding a regular GT to the stable at home. 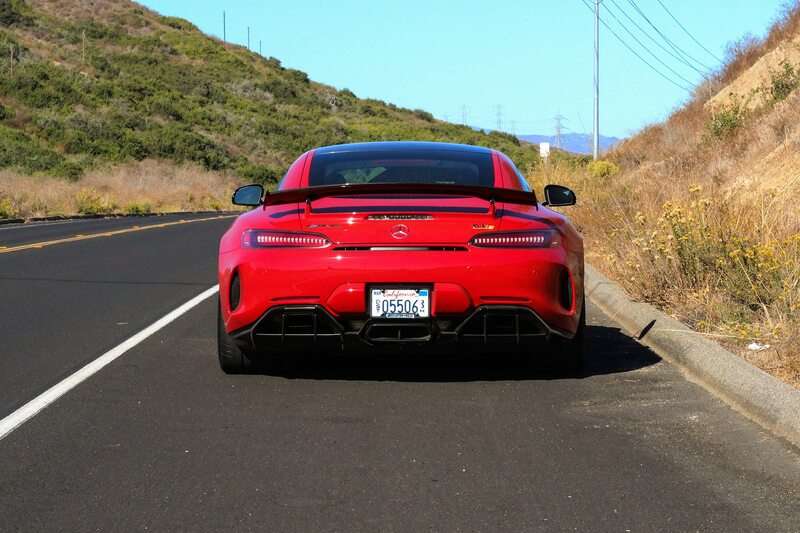 Then again, there’s a certain pleasure in driving around town in something so overtly brash. 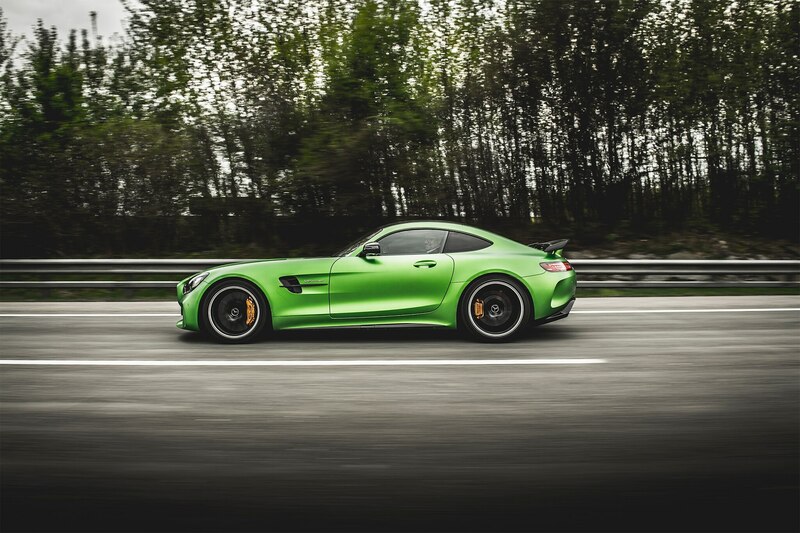 Provided, of course, you’re ready for the attention—like the four high school kids who followed me to a local grocery store in their Fiat 500X just to take pictures of the car. 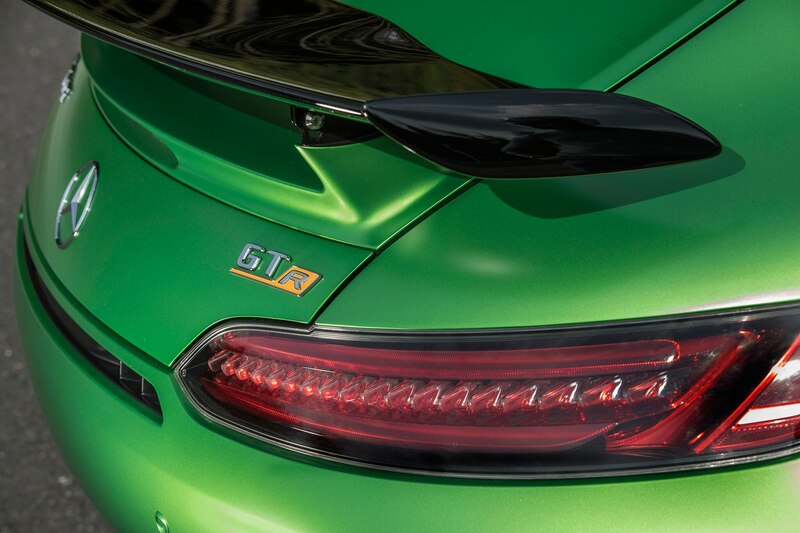 You’ll definitely stand out from the army of 911s at the local Cars and Coffee, too. 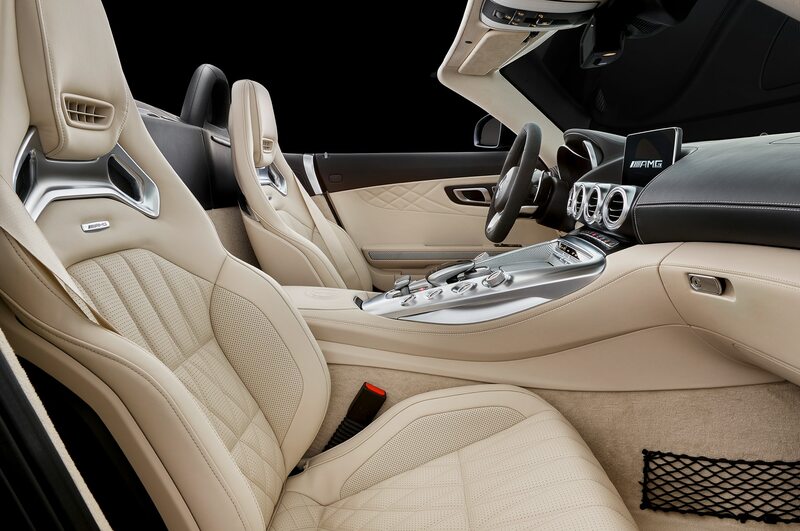 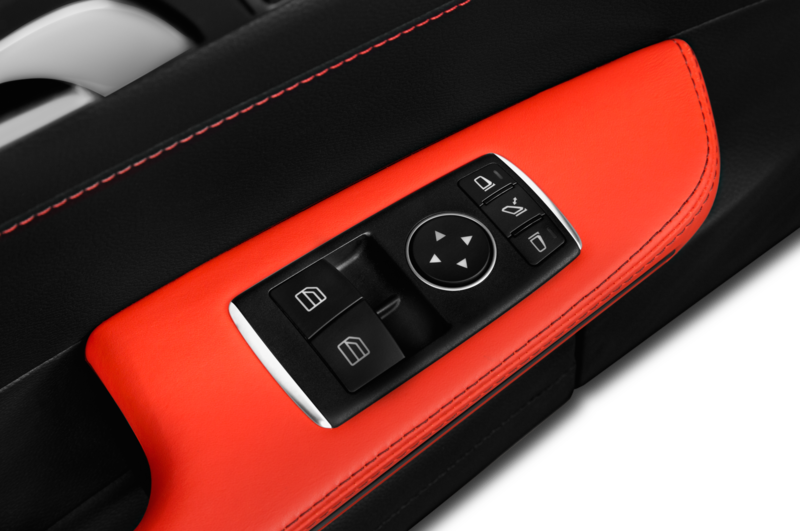 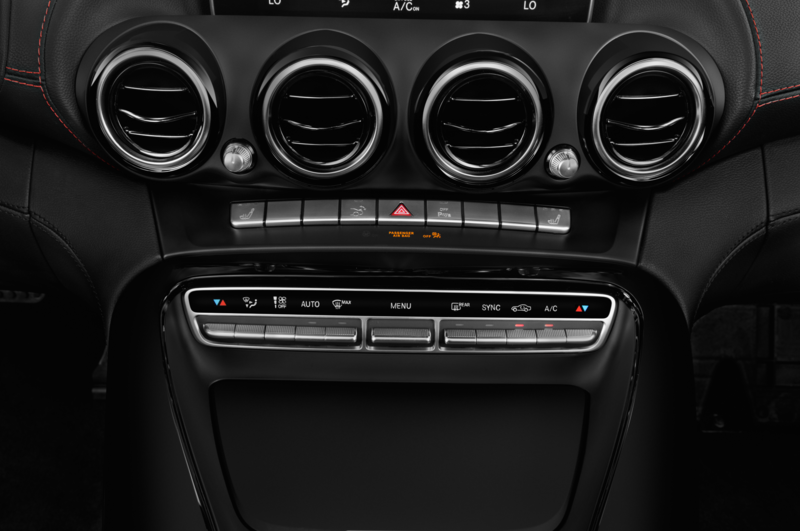 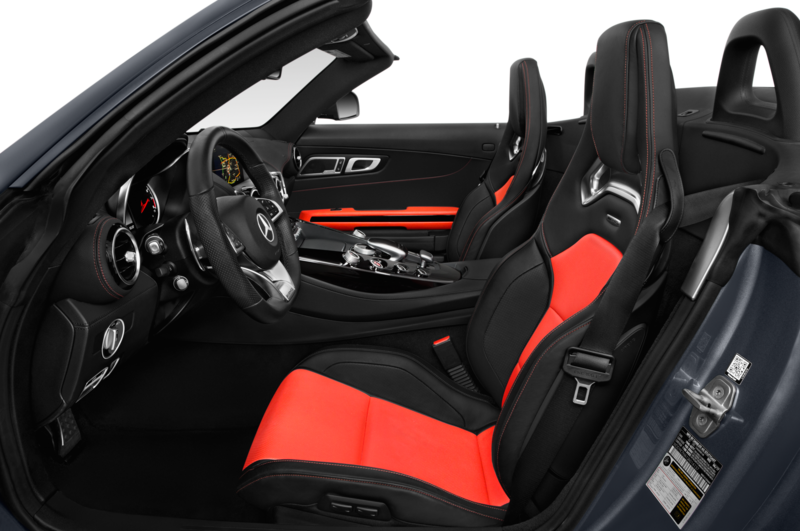 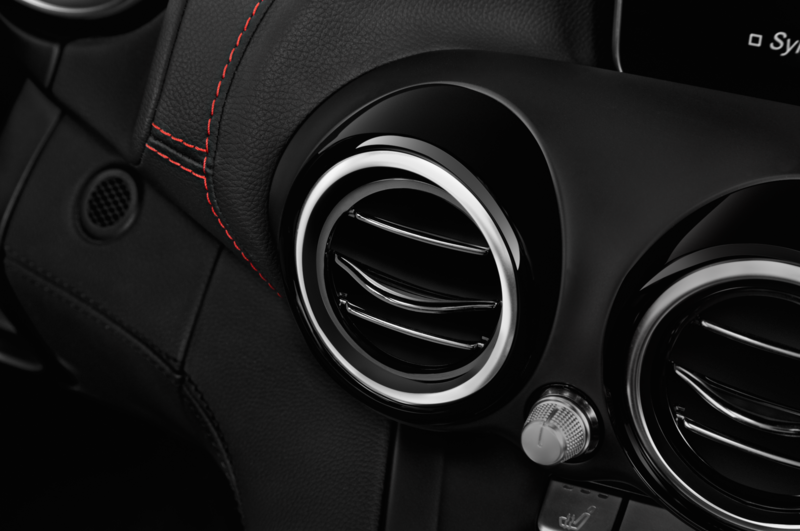 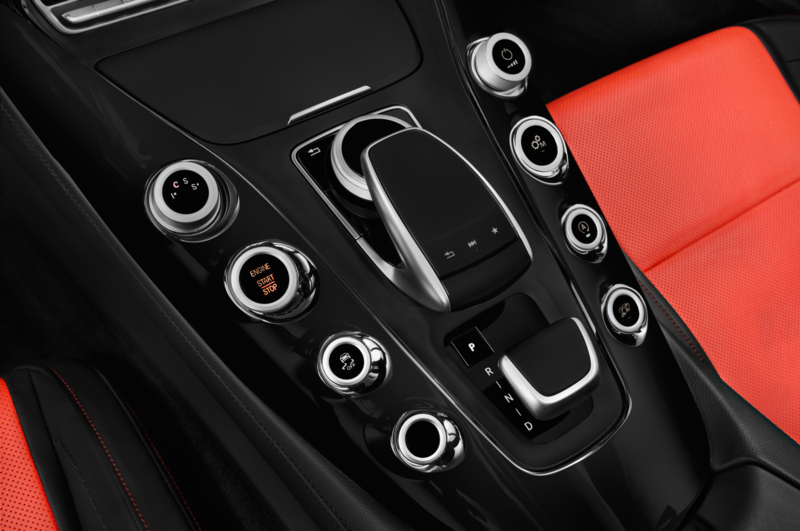 Besides, the ride isn’t that stiff (it’s certainly no Lotus Elise), the Nappa leather/Dinamic faux-suede interior is appropriately appointed, and the $1,300 Burmester audio easily drowns out the loud noises coming from outside. 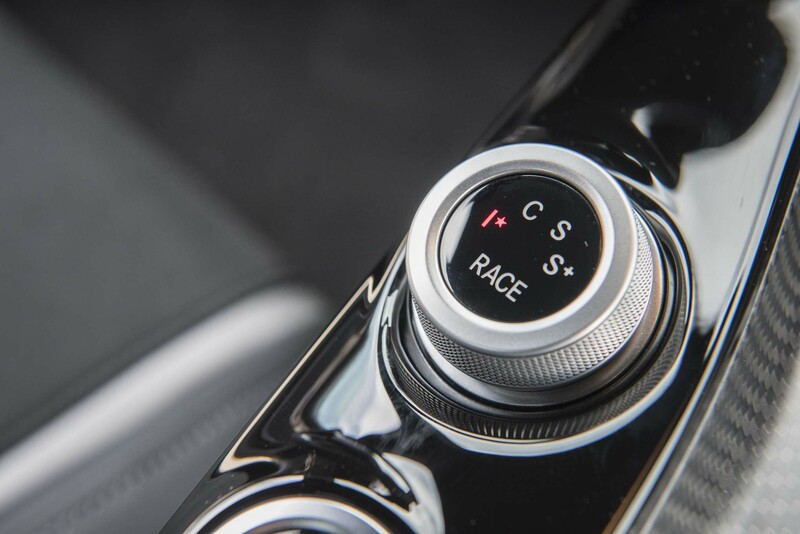 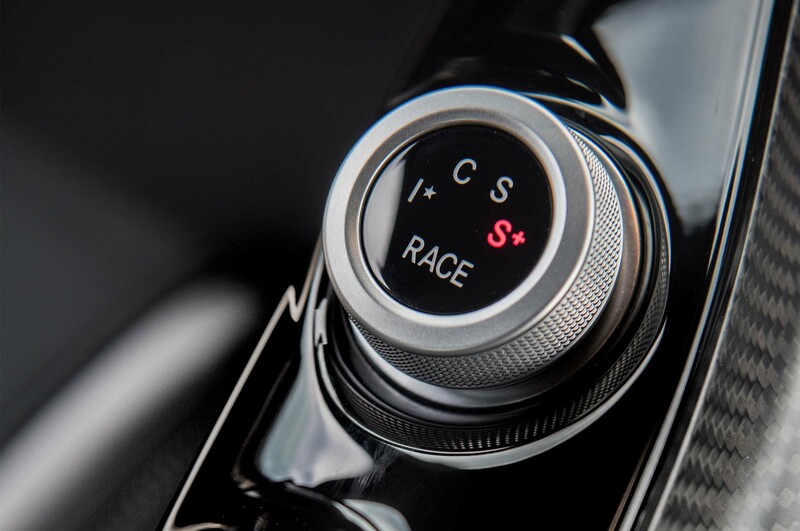 It even has Distronic Plus adaptive cruise control, provided you checked the box for the $2,250 option. 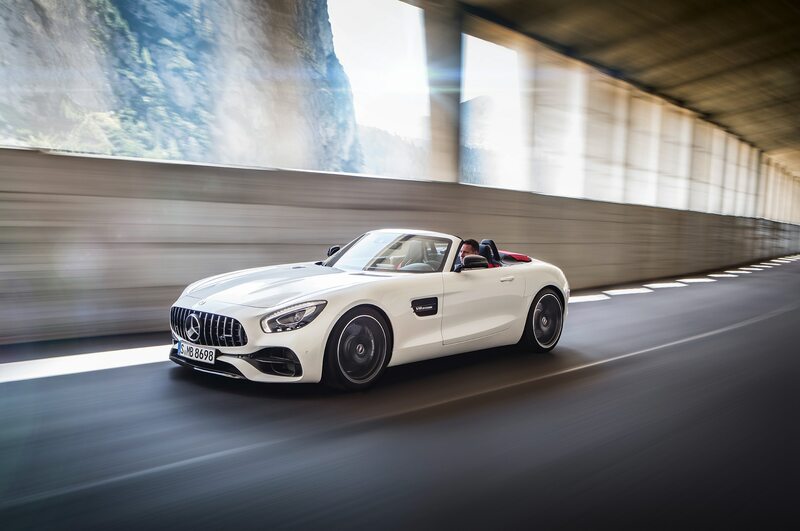 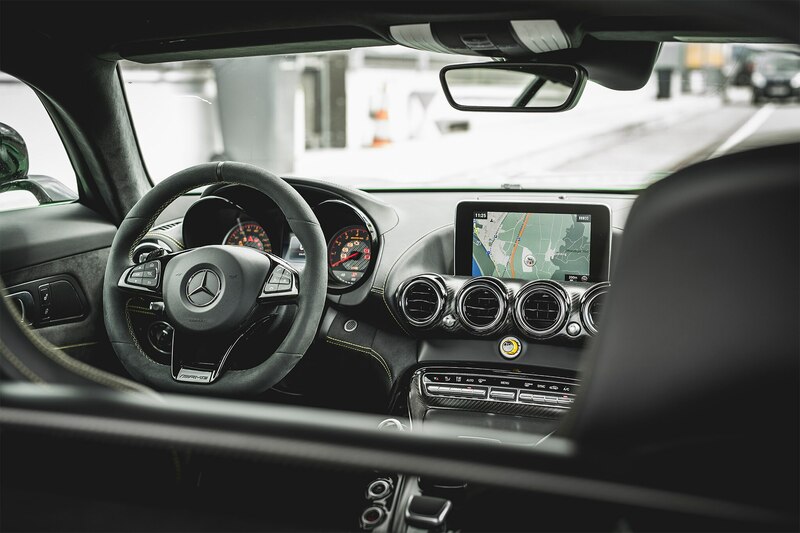 You’ll appreciate having it while on the freeway on your way out to the track, though the scenic route should be taken as a warm-up for the senses whenever possible—especially if there’s a tunnel. 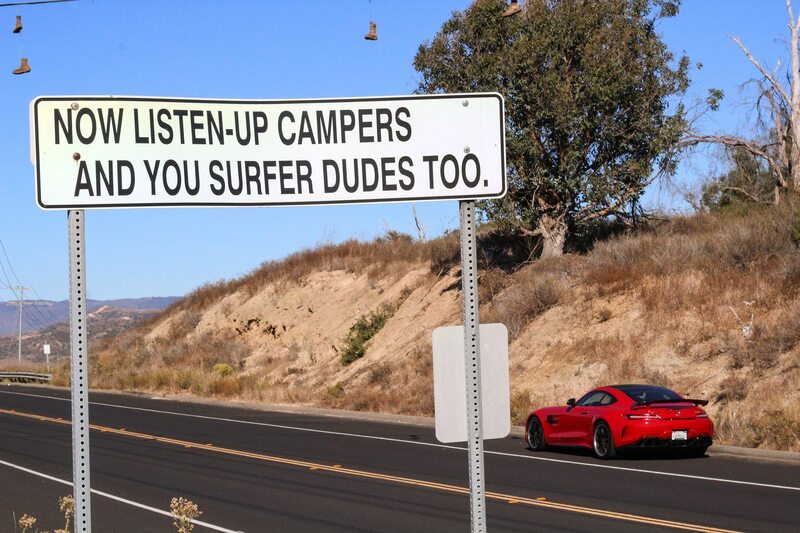 And not having to rig a surfboard to the roof isn’t bad, either.